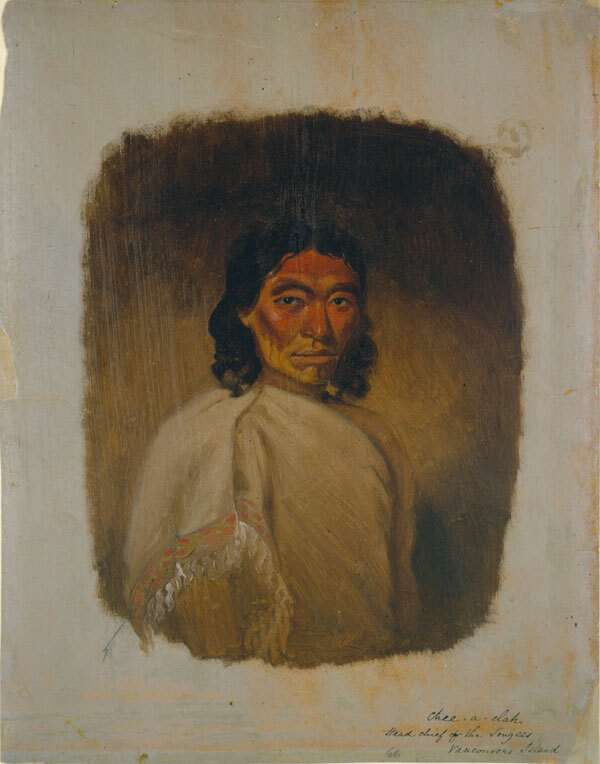 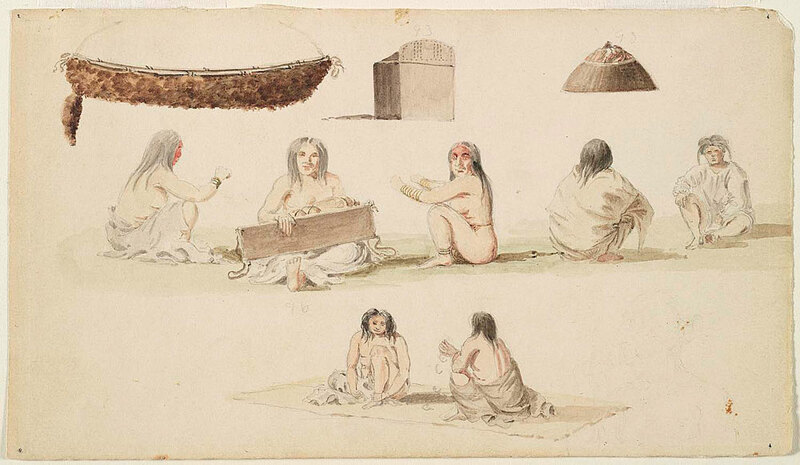 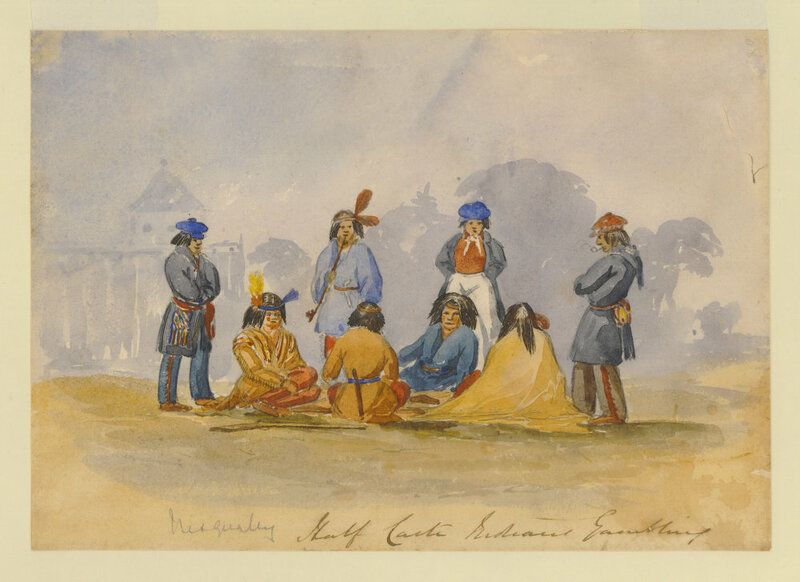 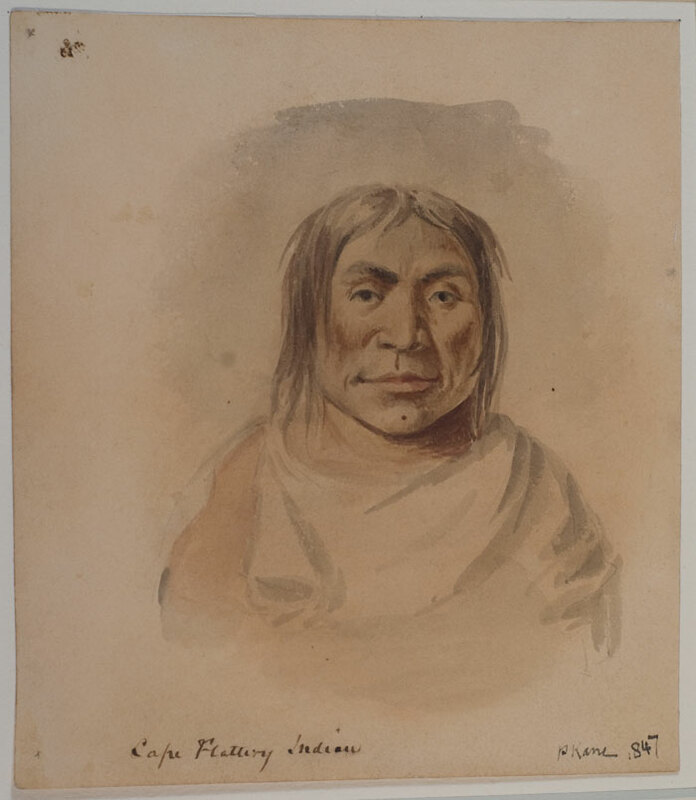 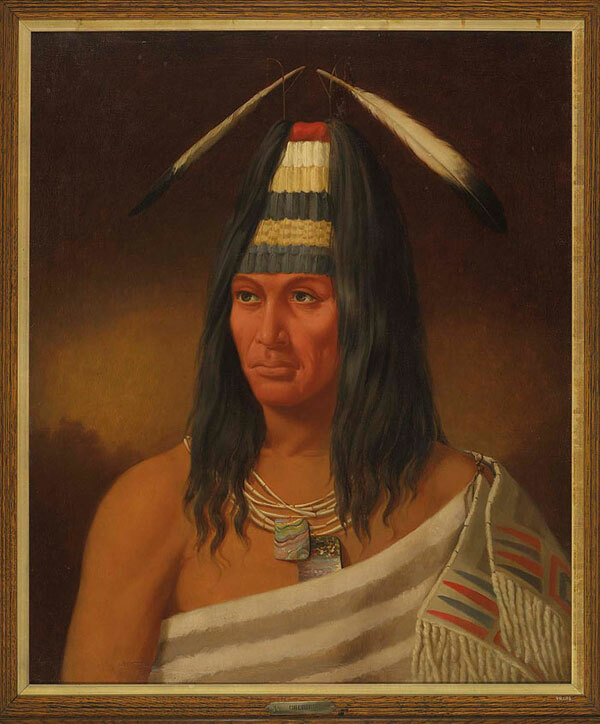 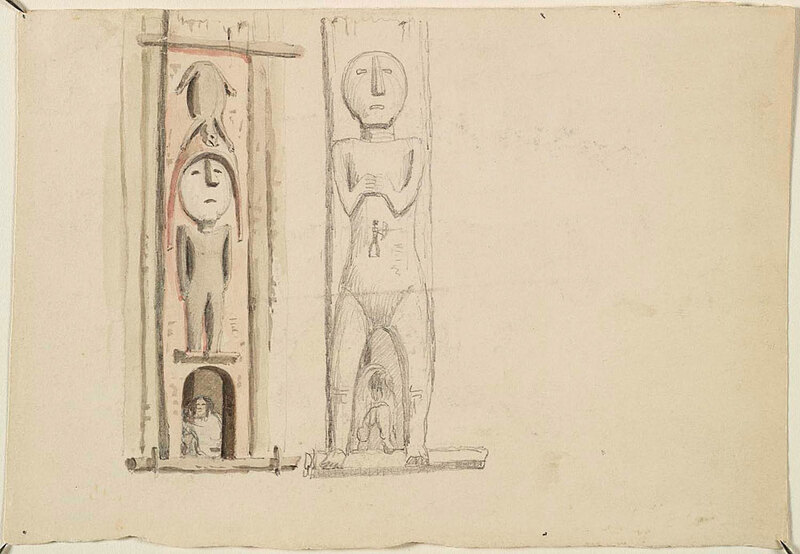 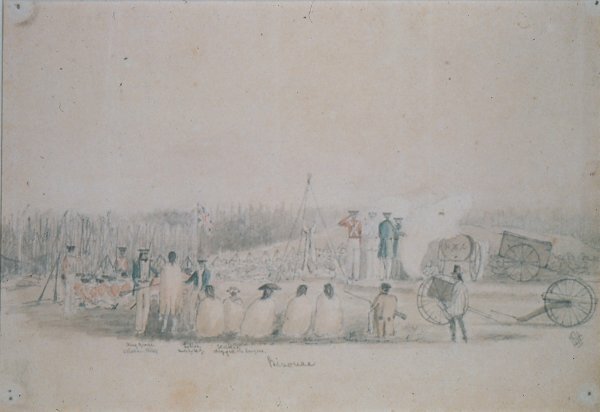 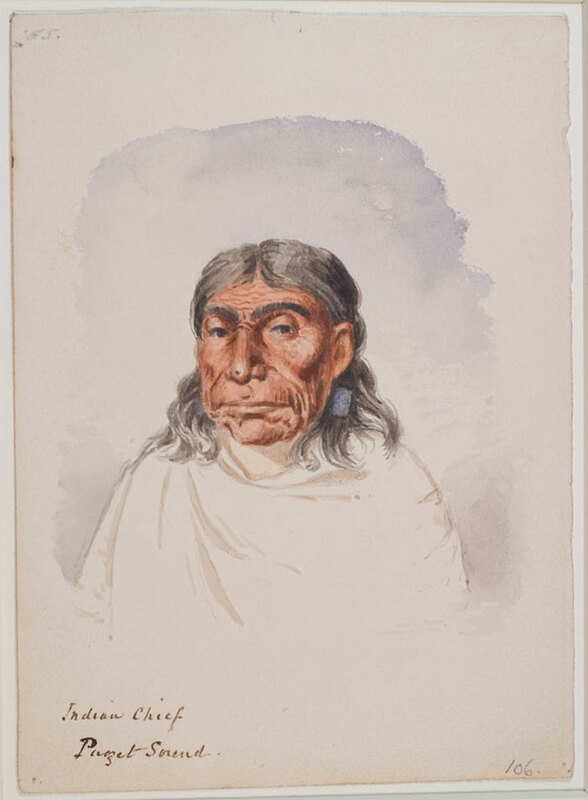 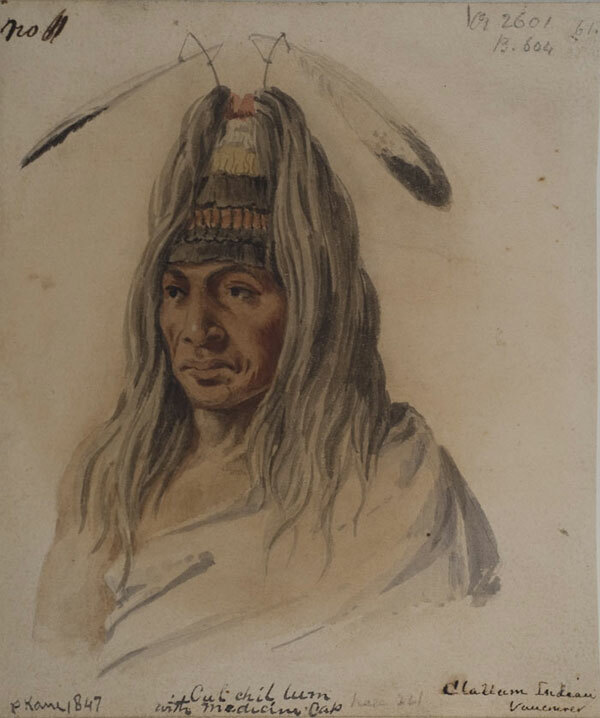 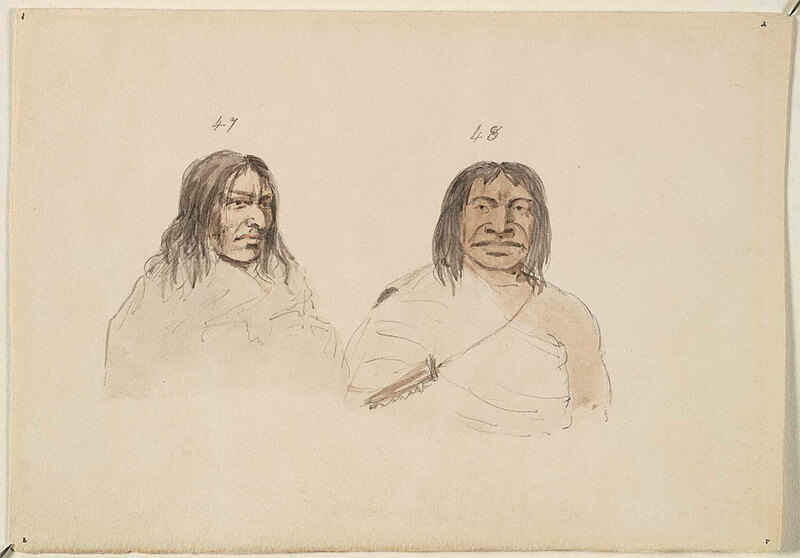 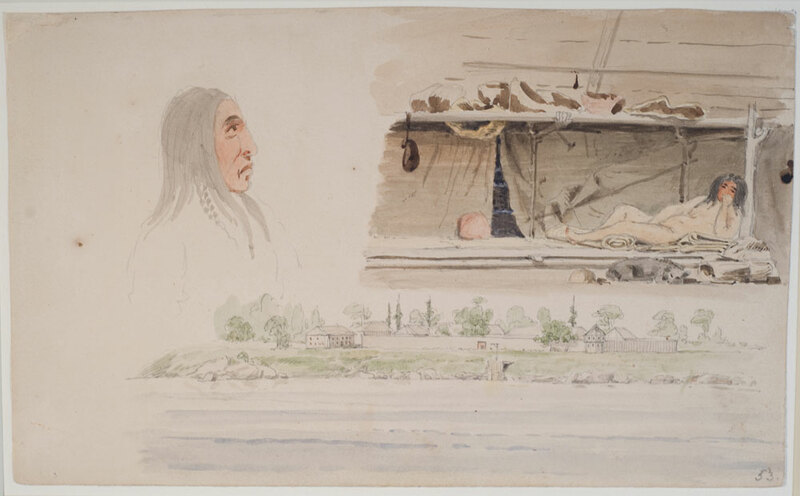 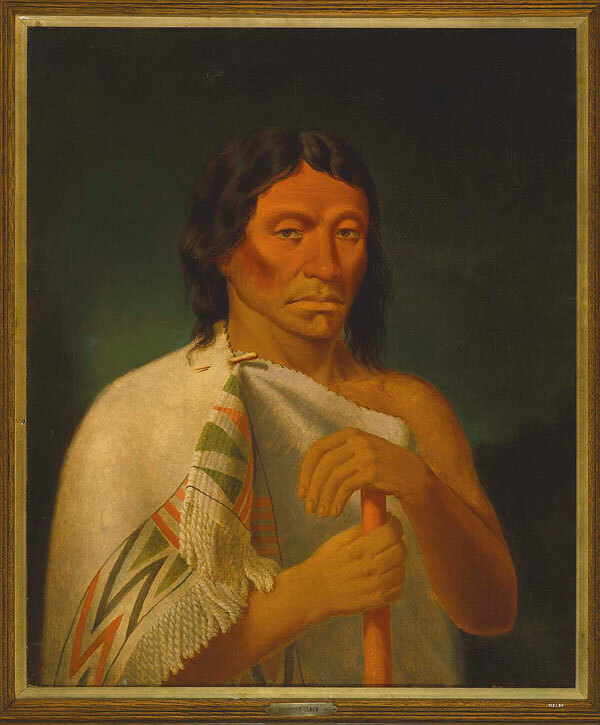 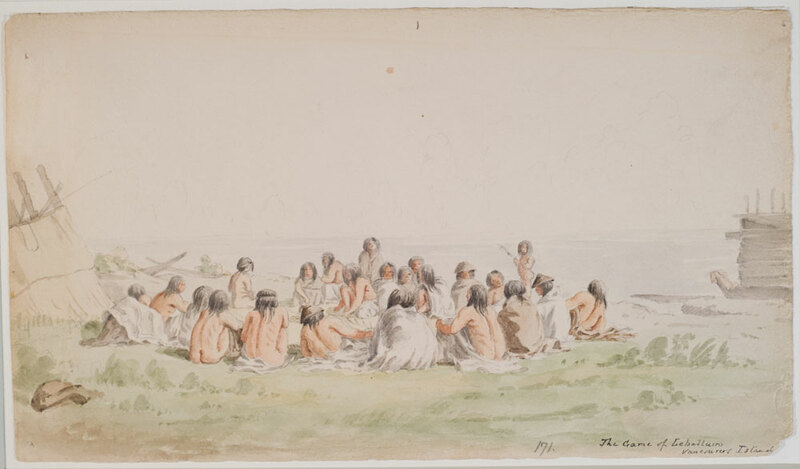 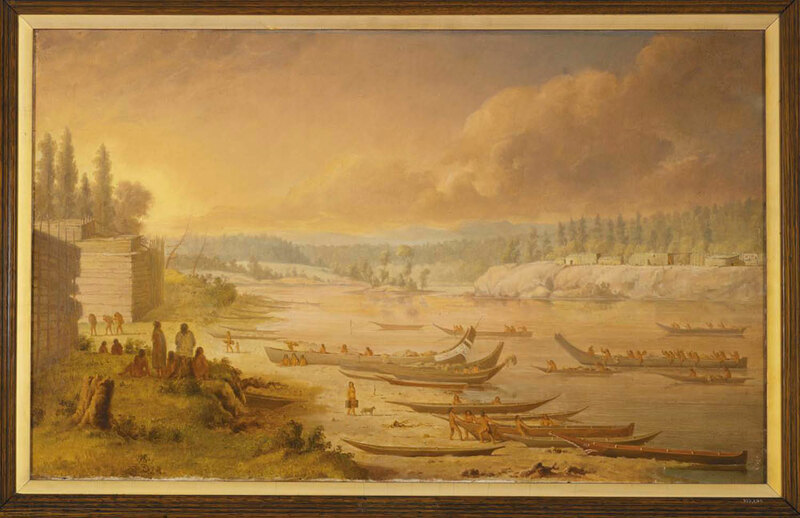 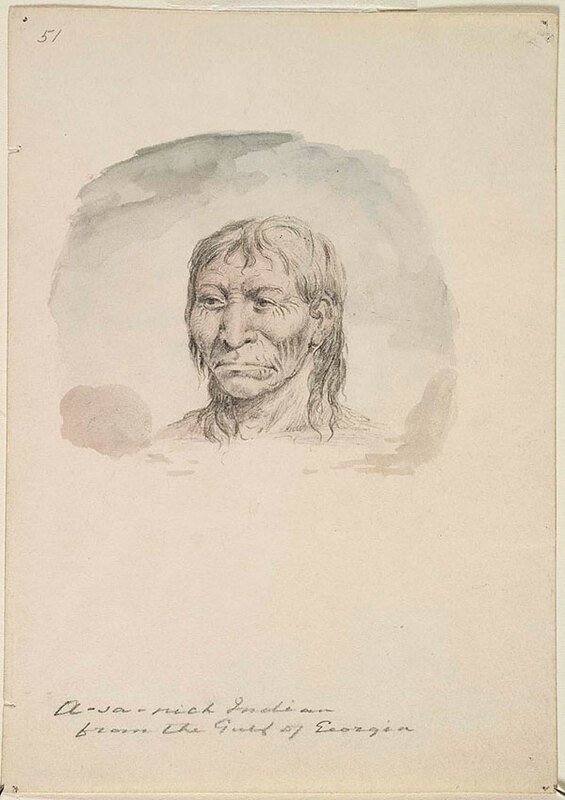 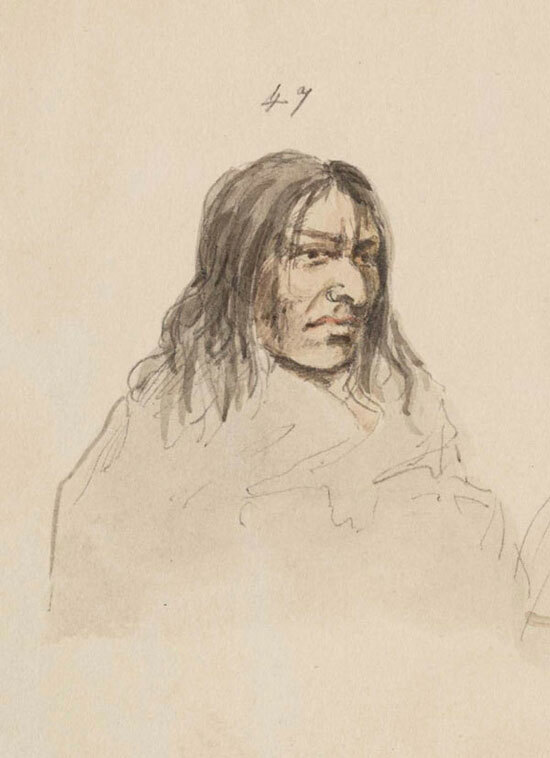 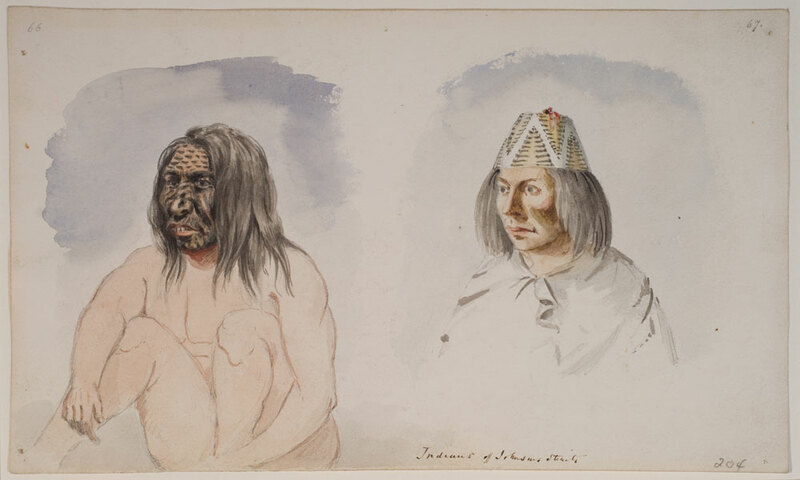 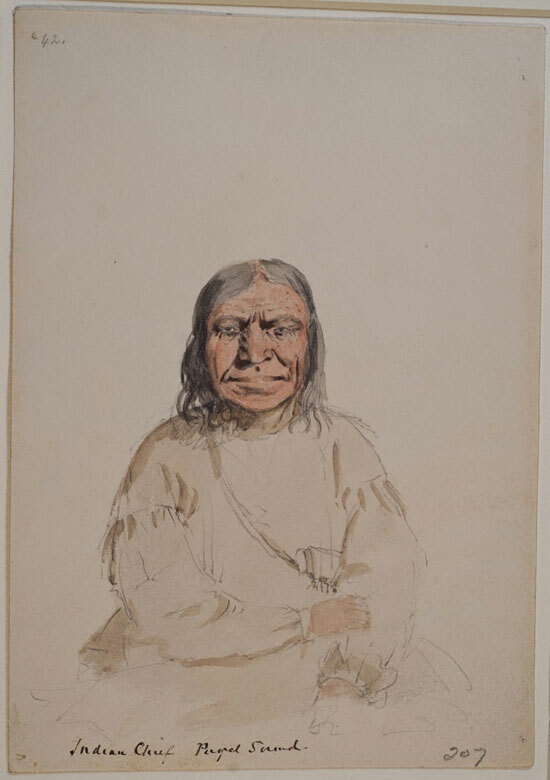 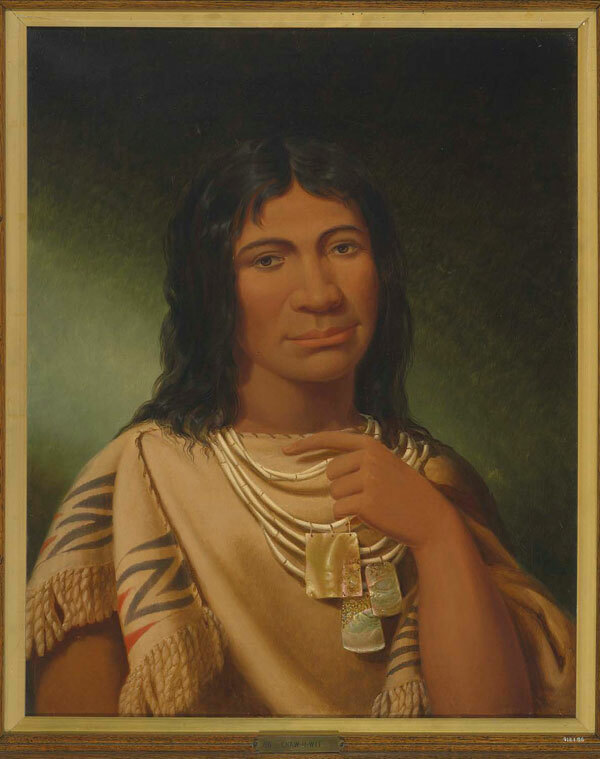 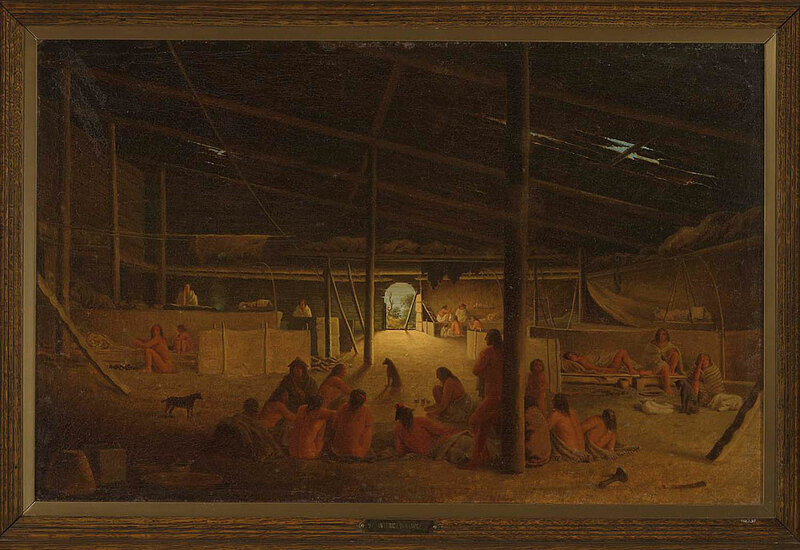 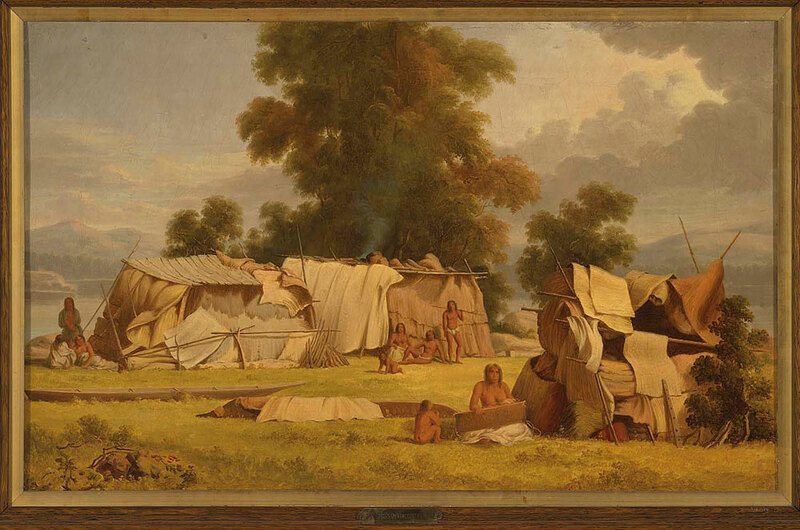 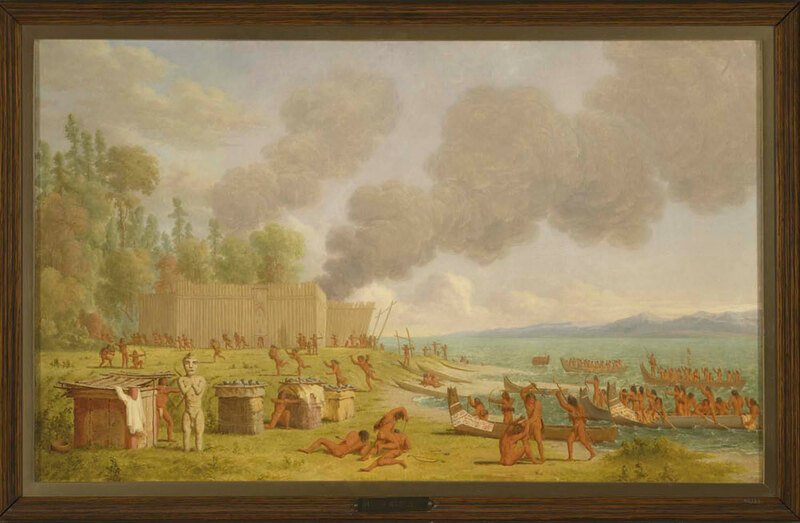 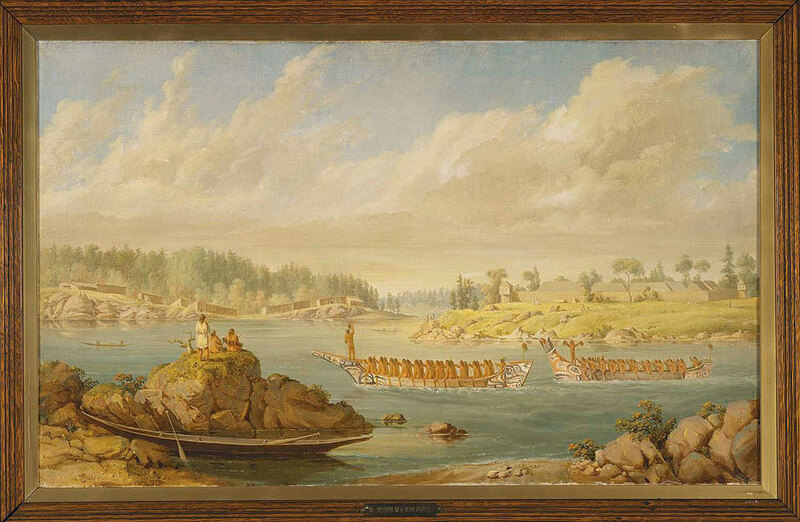 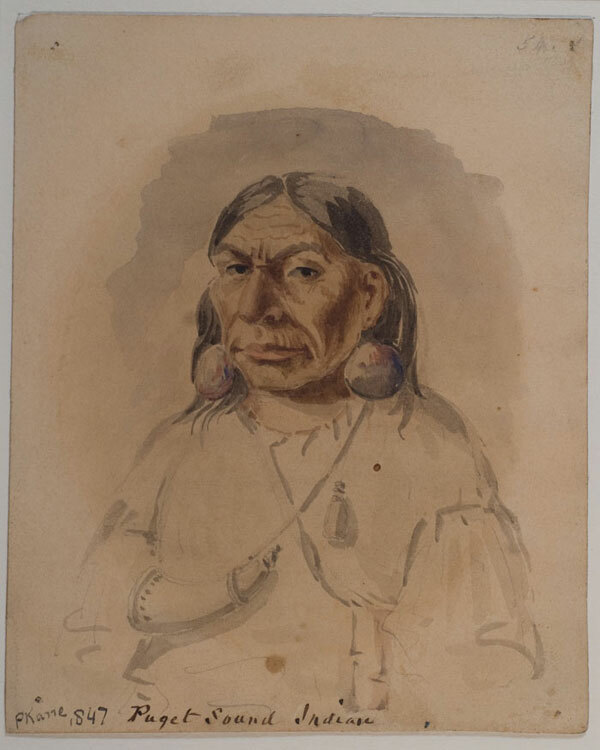 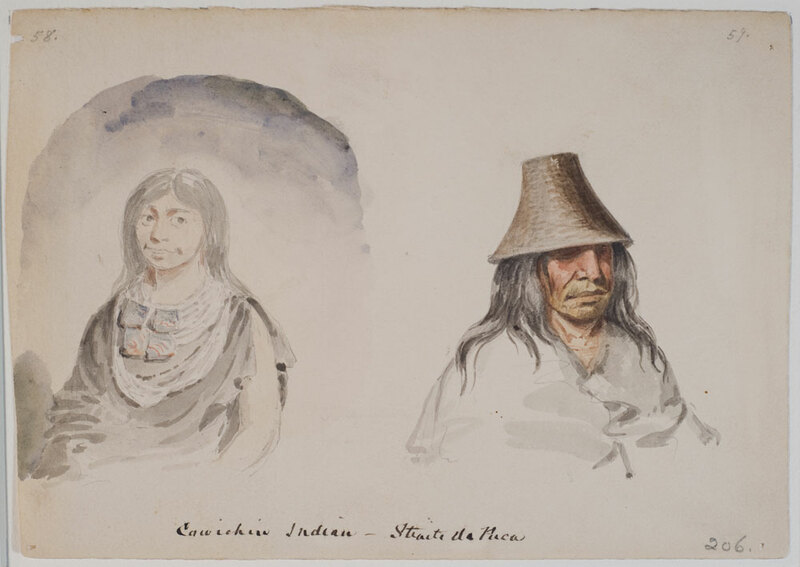 Paul Kane was a professional artist who had the support of the Hudson’s Bay Company to travel through their territory as far as Fort Victoria, sketching images of the Indigenous People of the Canadian west. 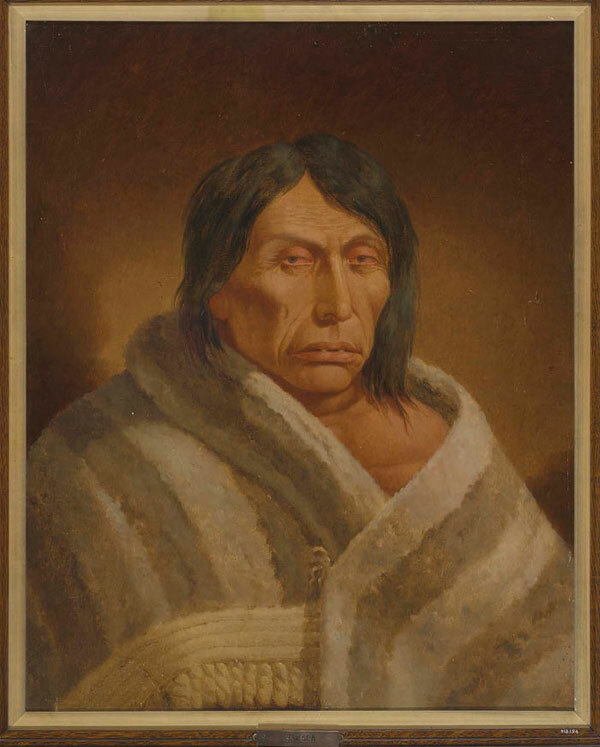 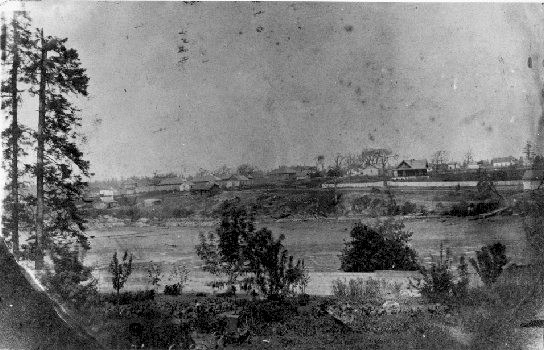 His arrival is recorded in the Fort Journal for April 8th, 1847 and his departure on June 2nd, 1847. 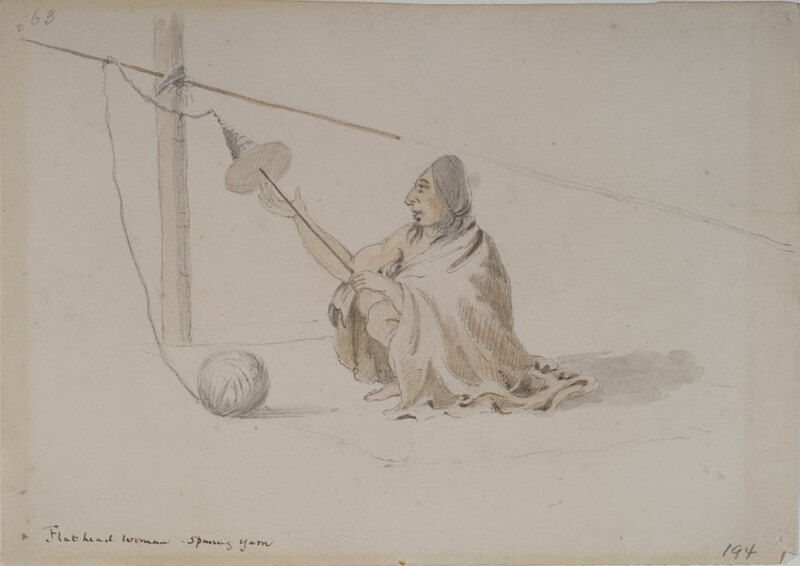 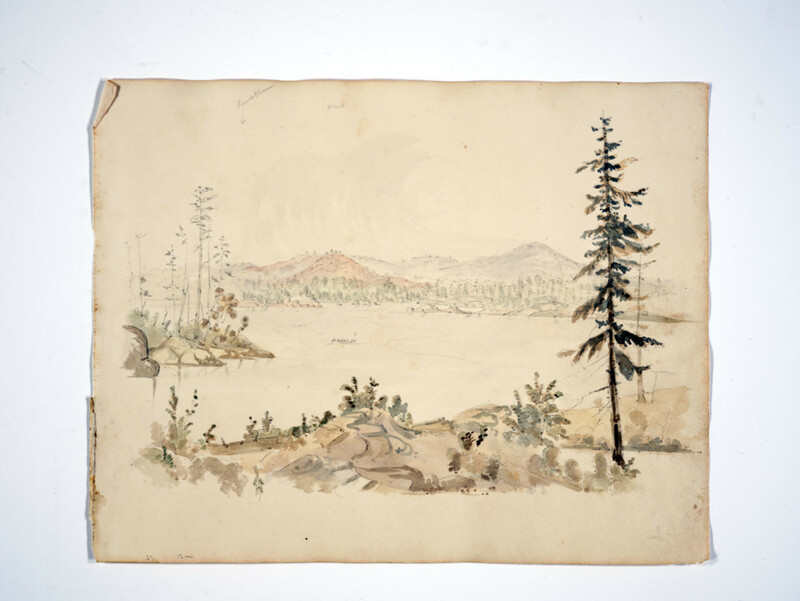 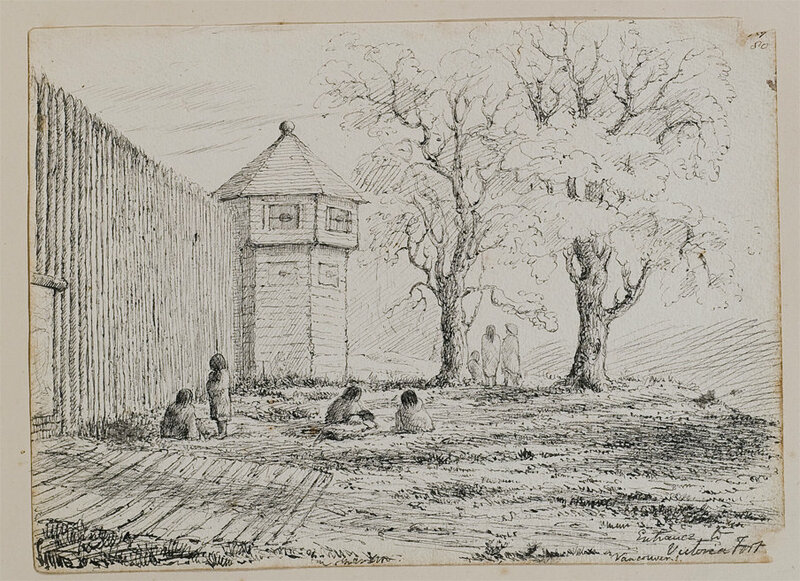 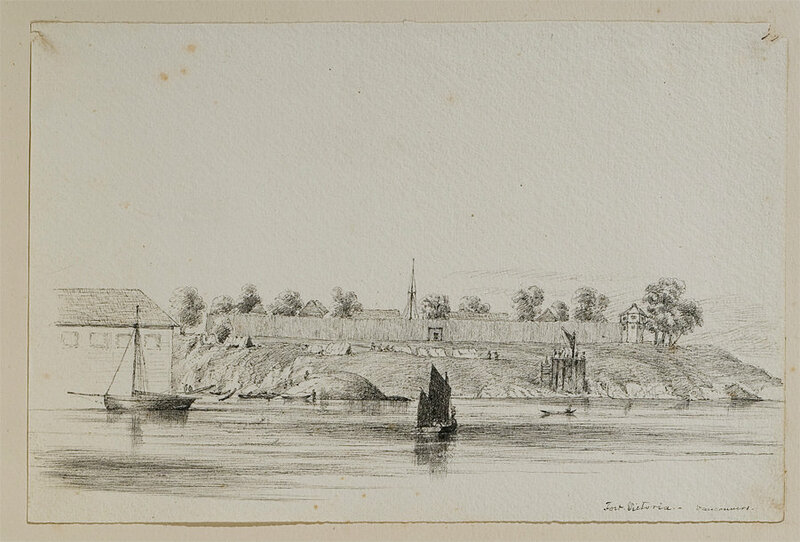 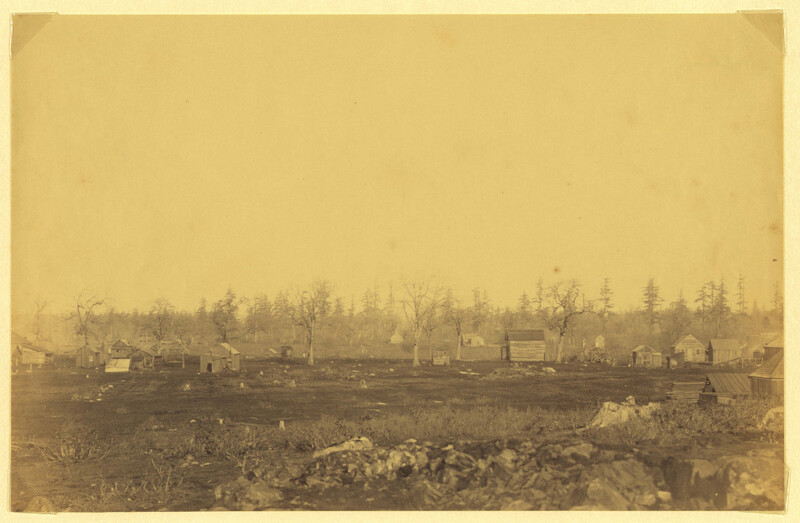 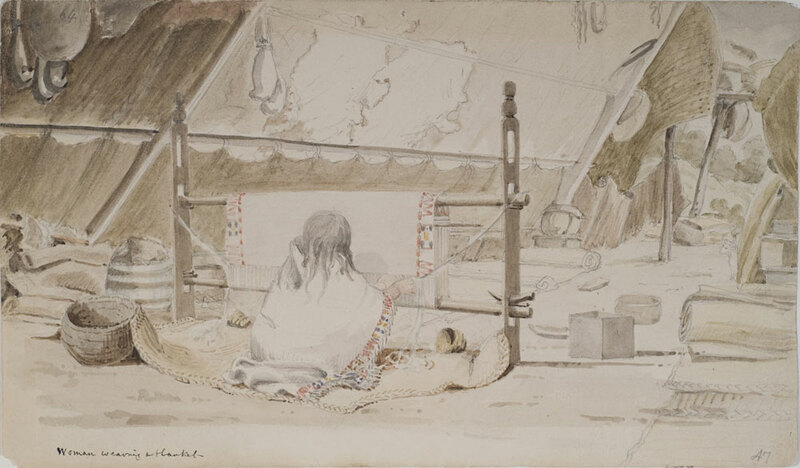 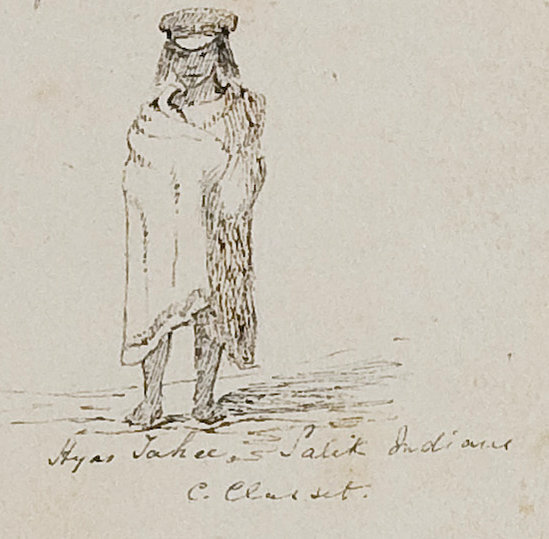 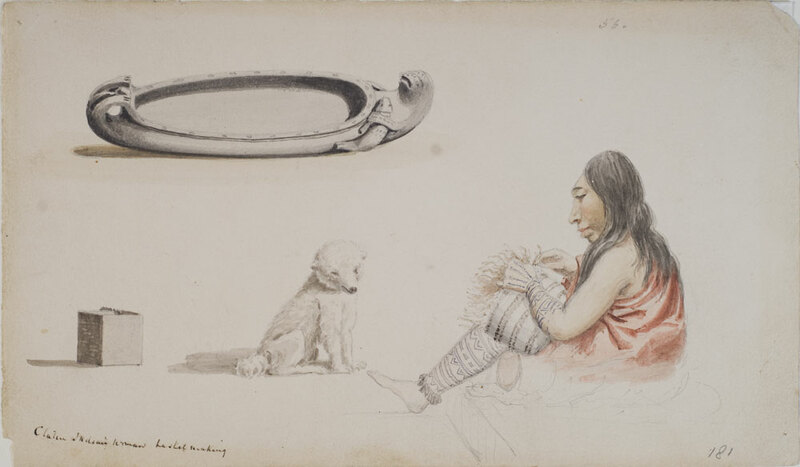 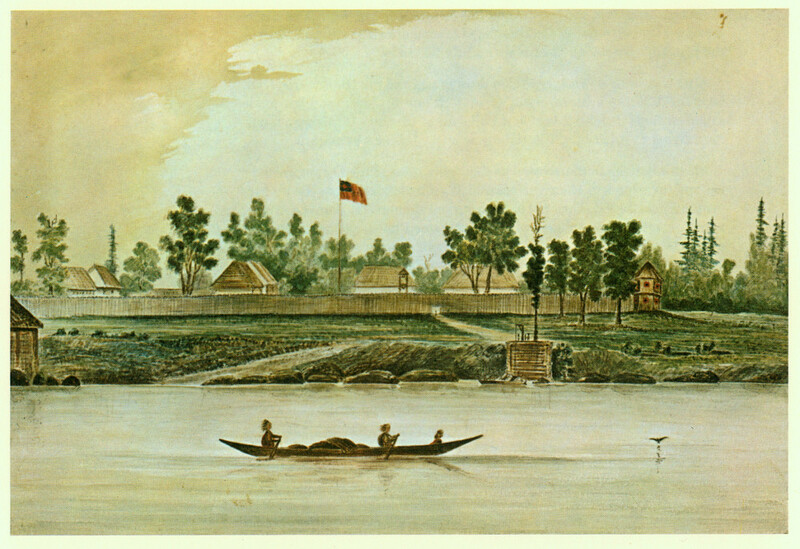 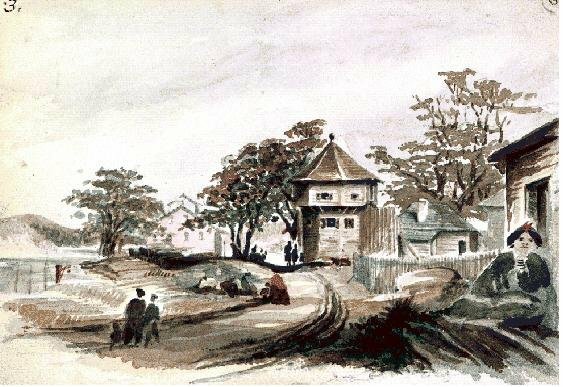 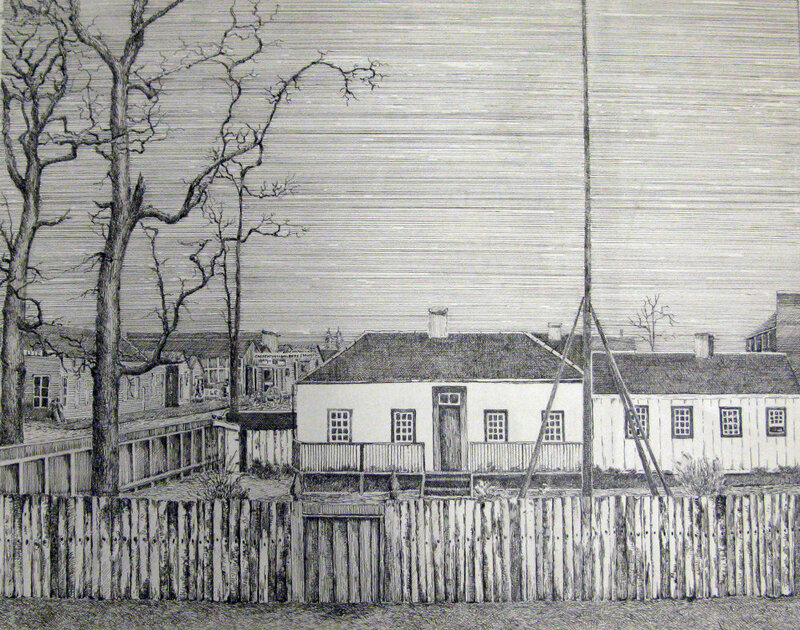 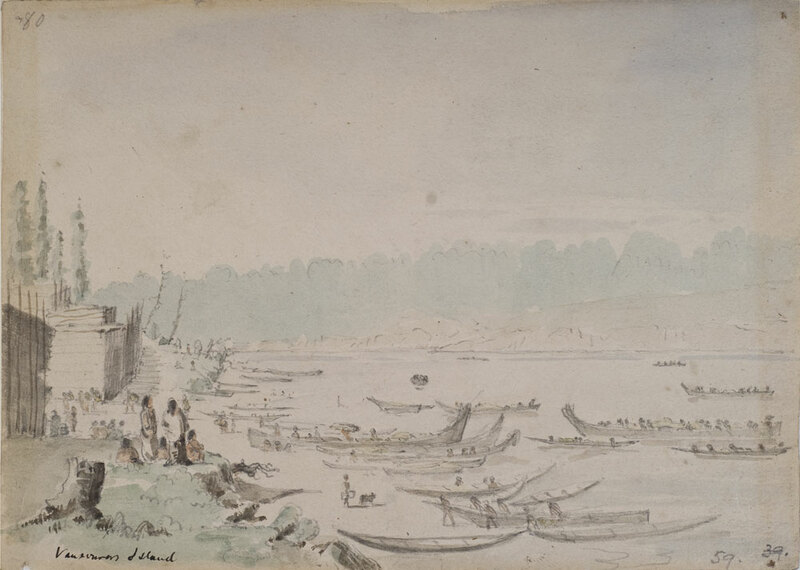 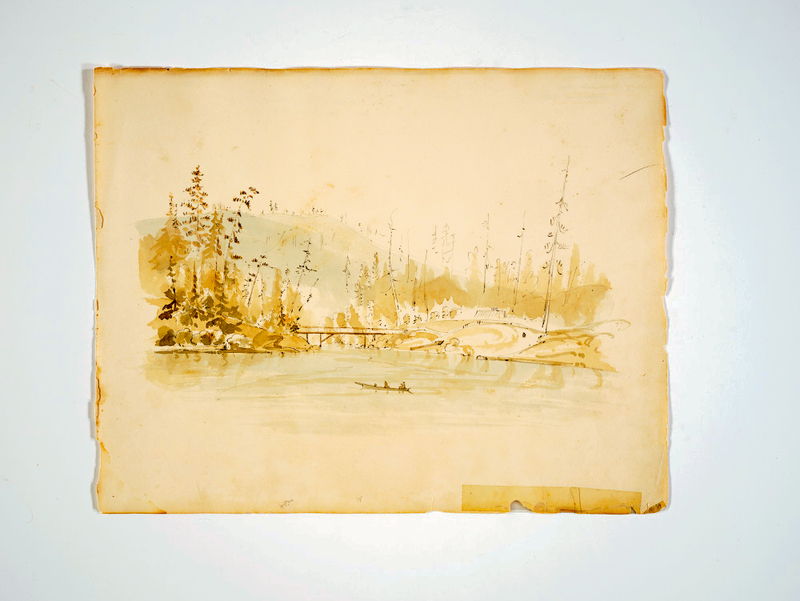 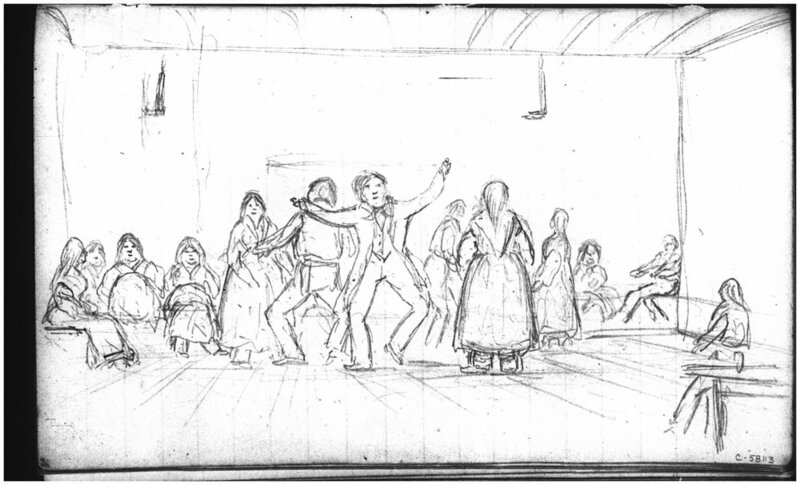 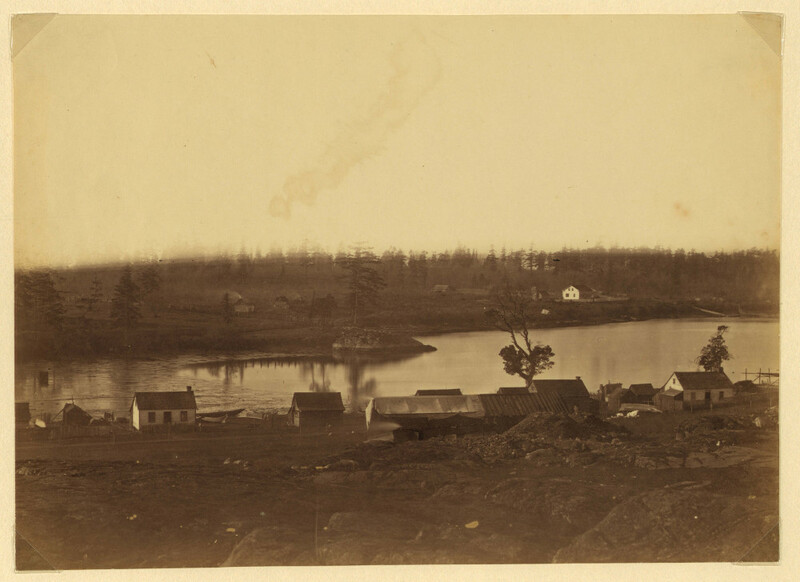 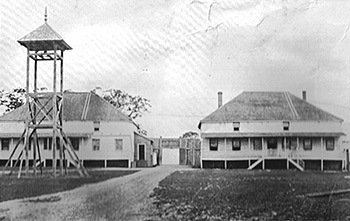 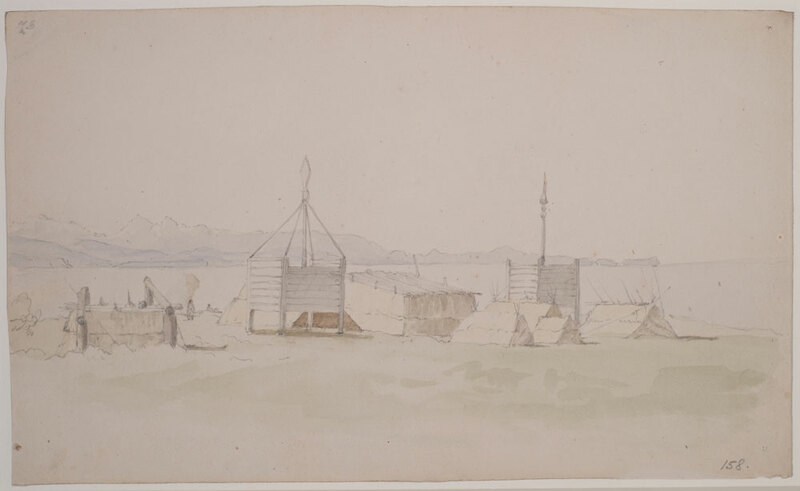 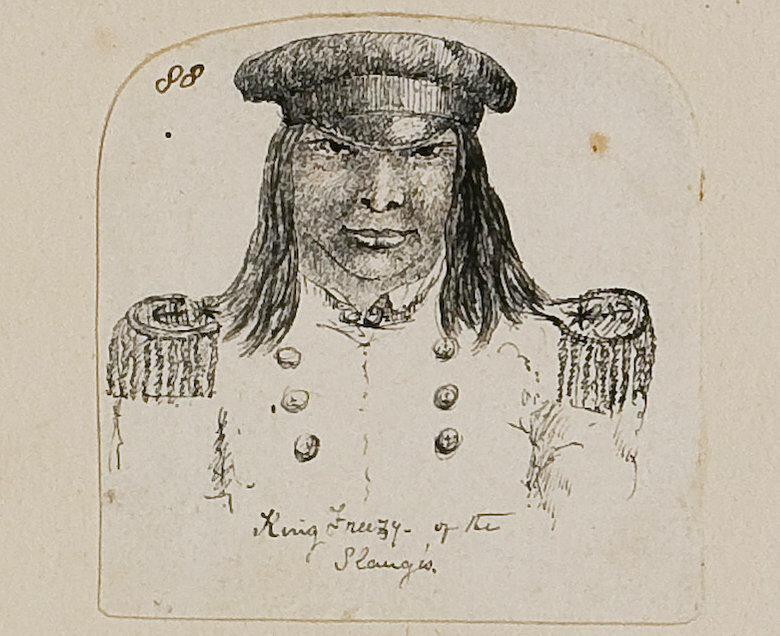 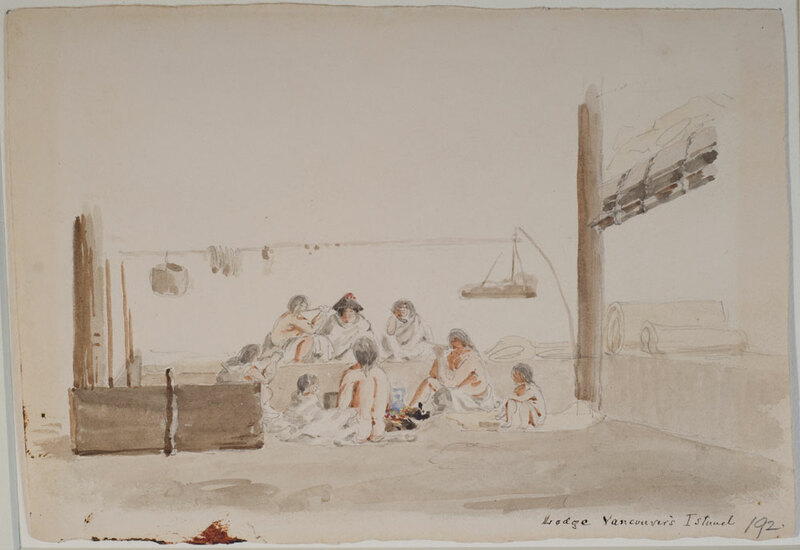 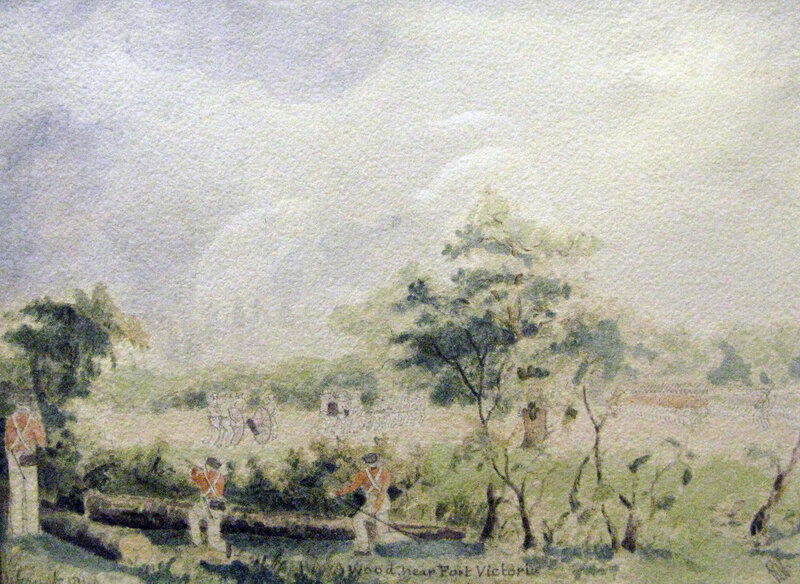 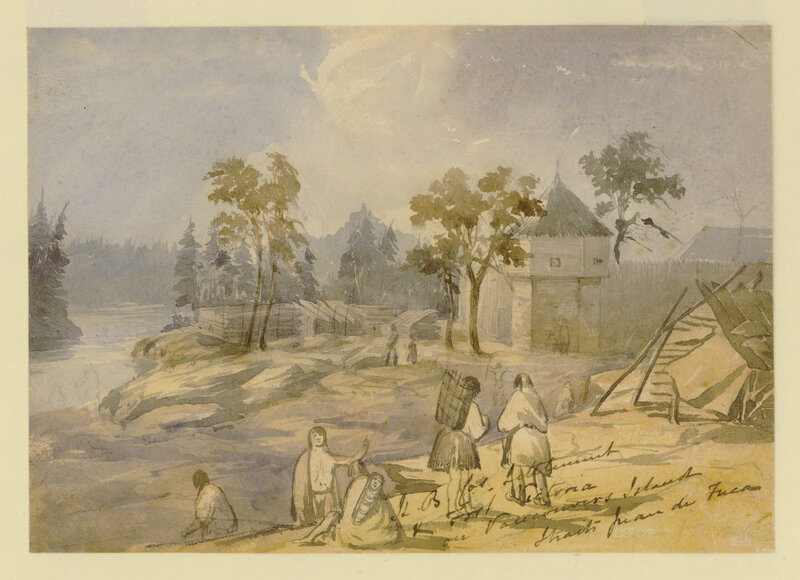 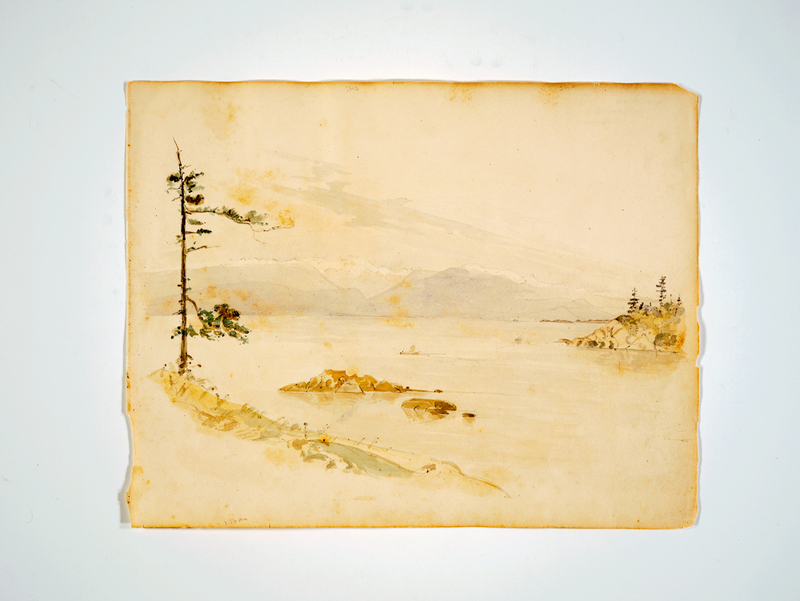 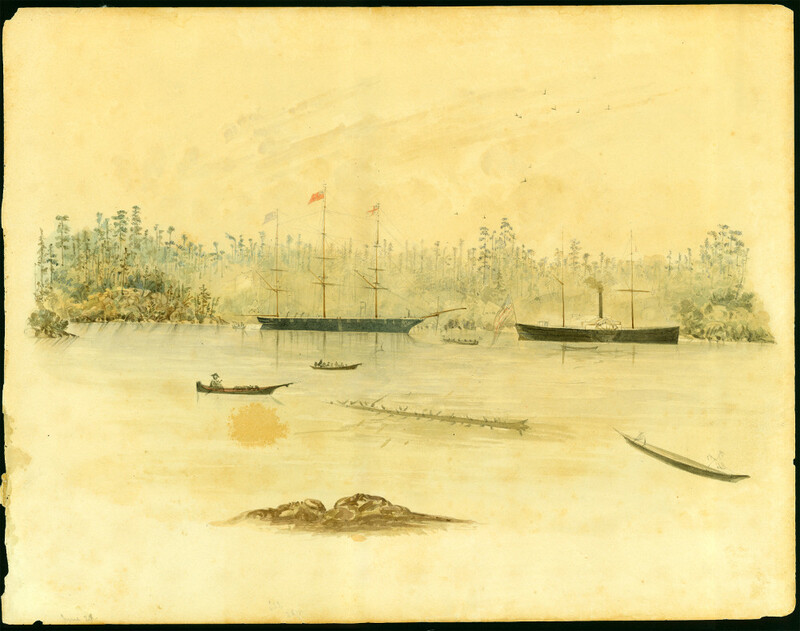 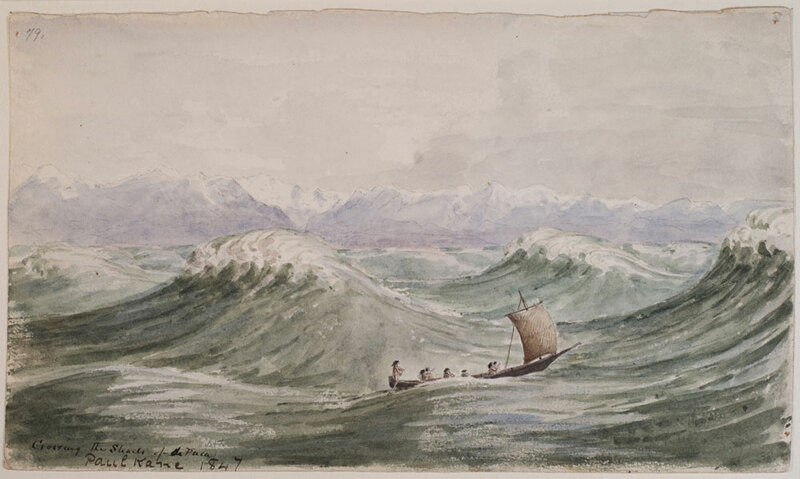 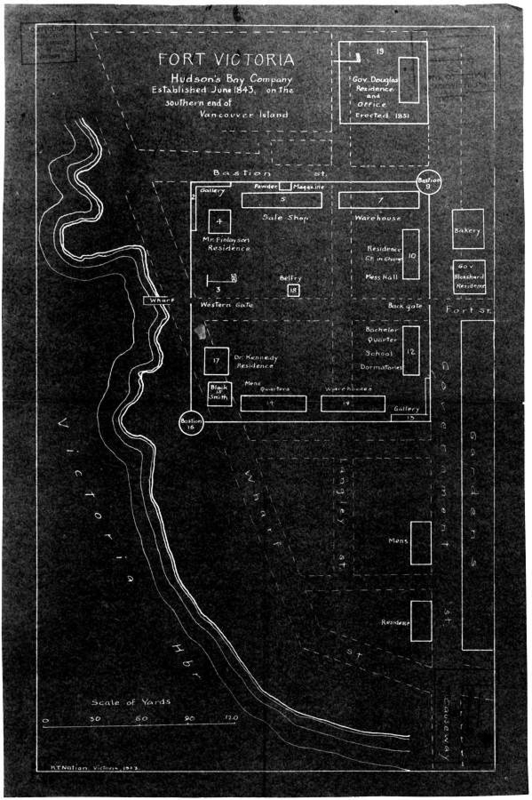 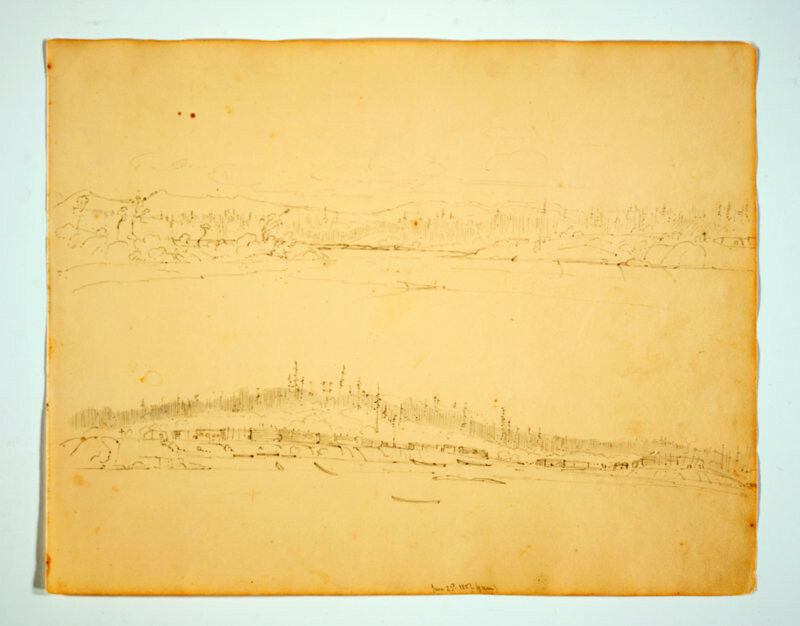 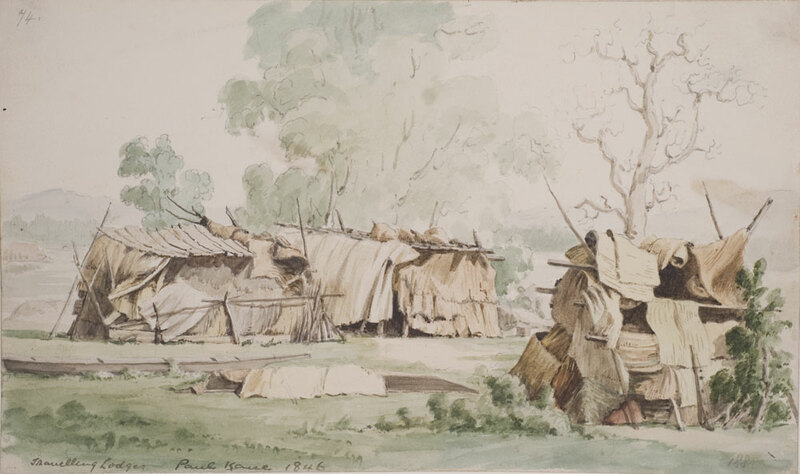 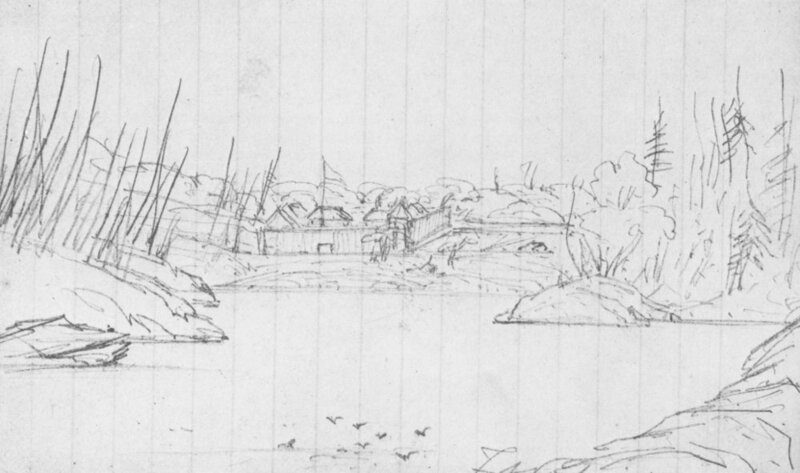 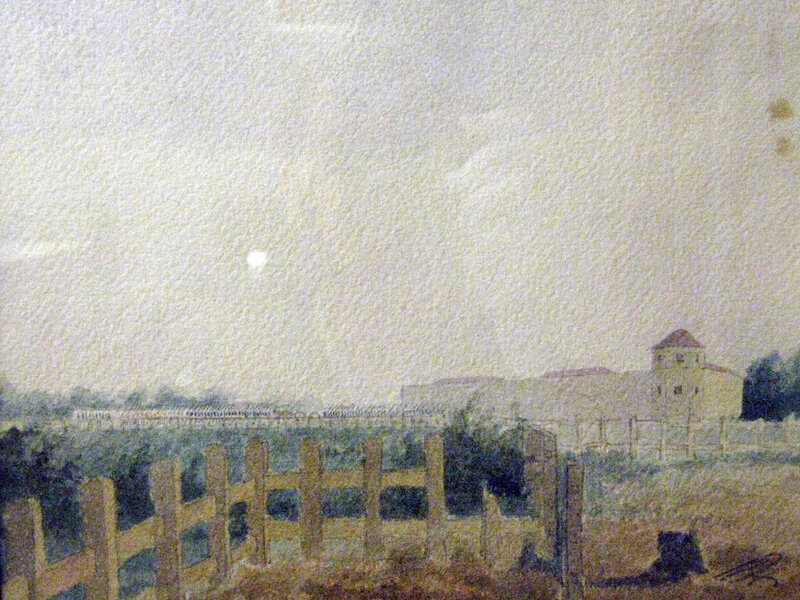 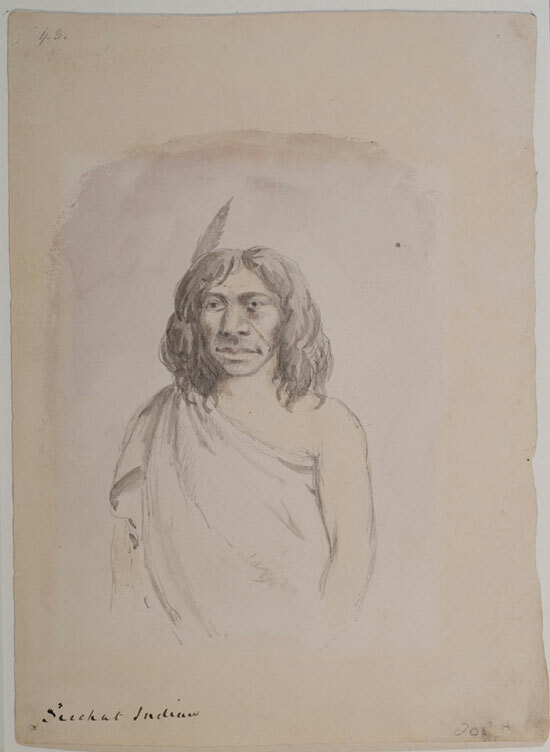 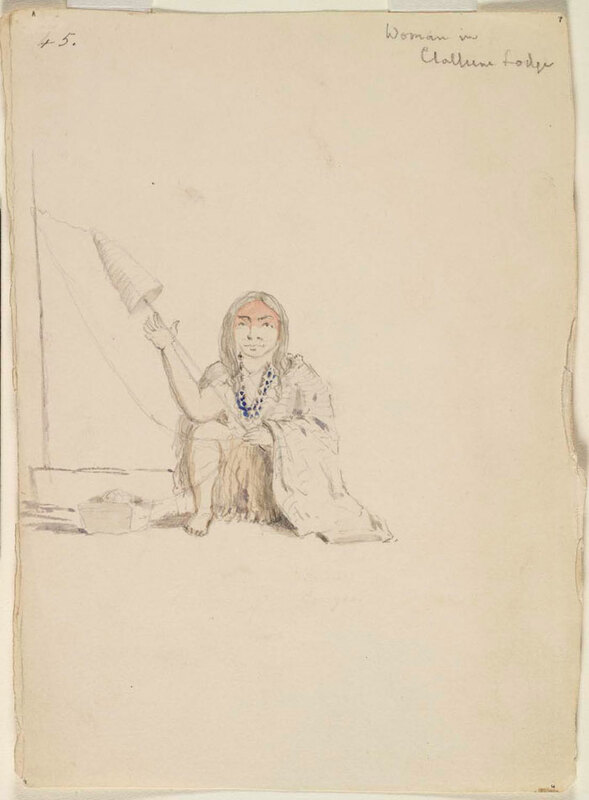 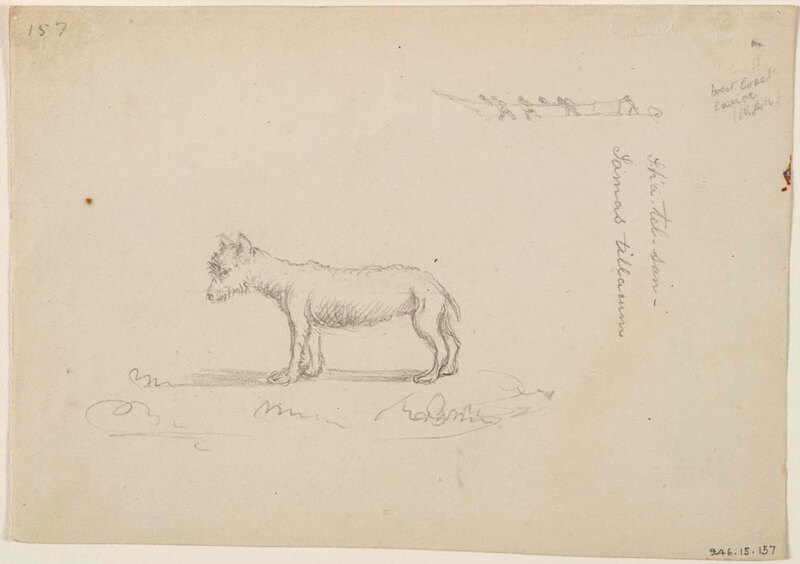 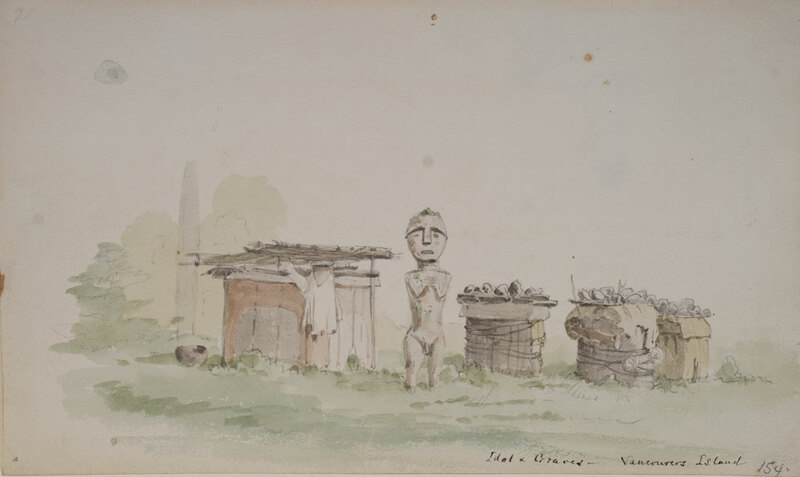 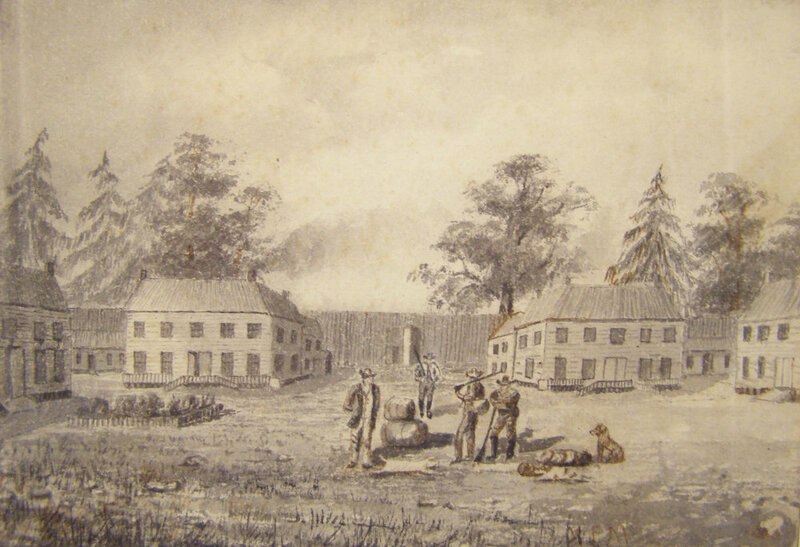 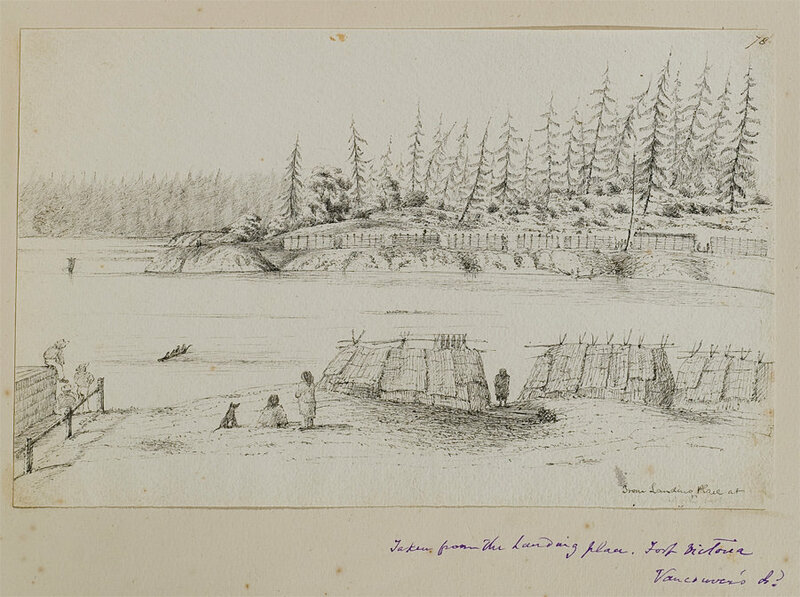 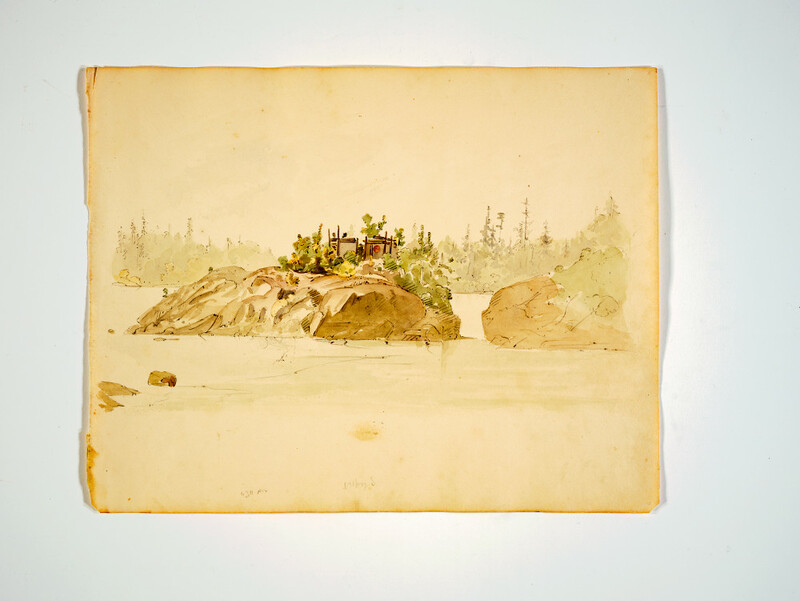 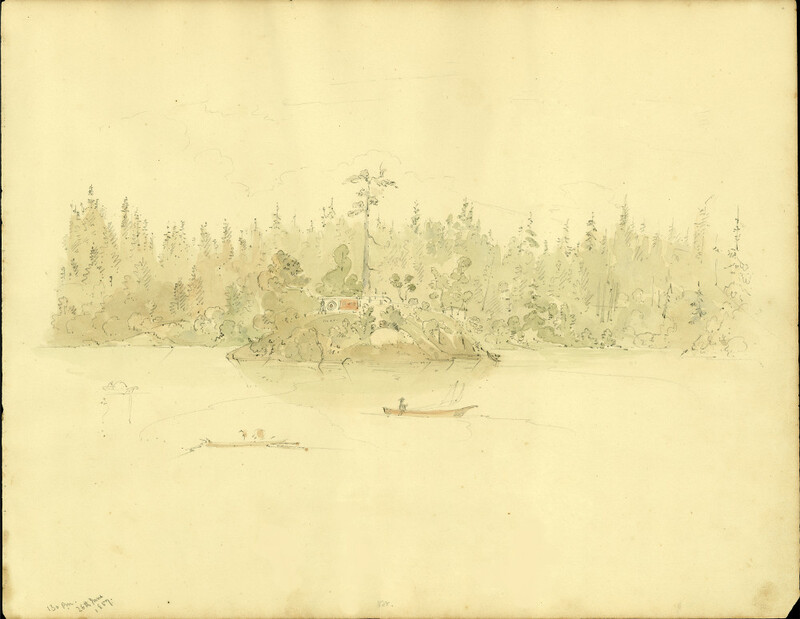 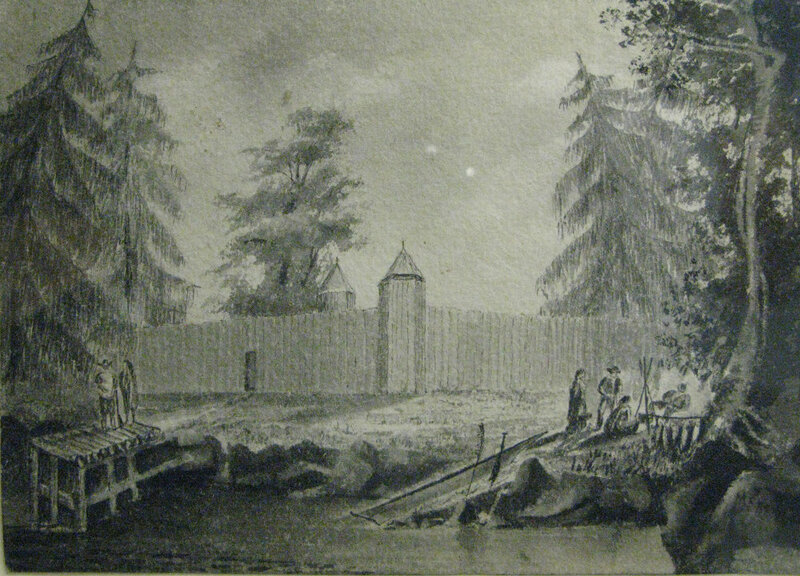 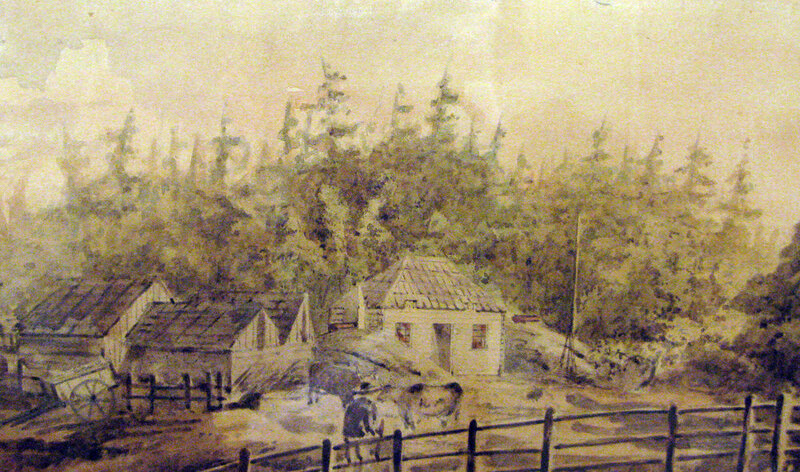 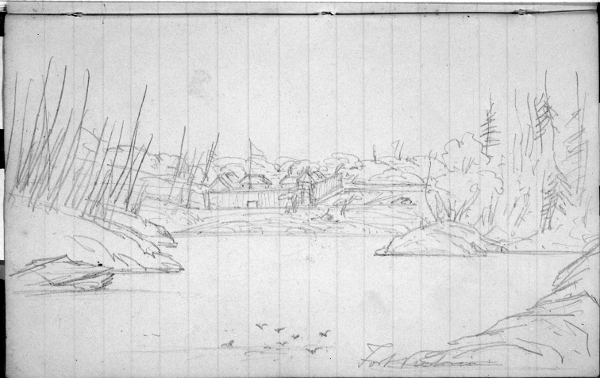 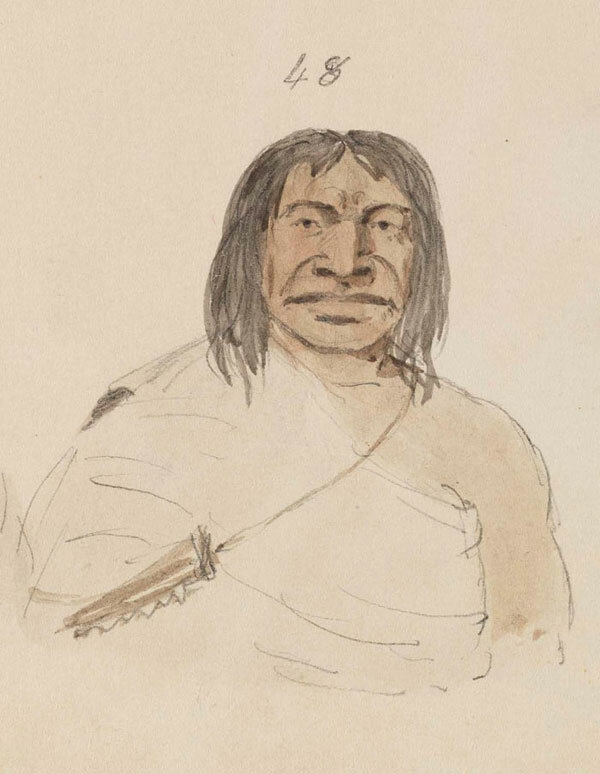 While in Victoria he made dozens of pencil sketches of the Indigenous people who lived near or visited the fort, their houses and material culture; he also sketched Fort Victoria and the adjacent Songhees village. 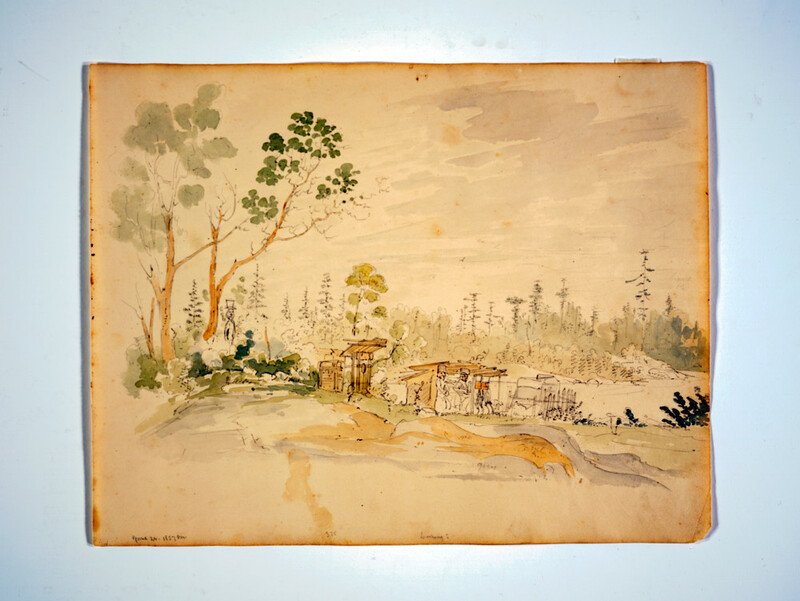 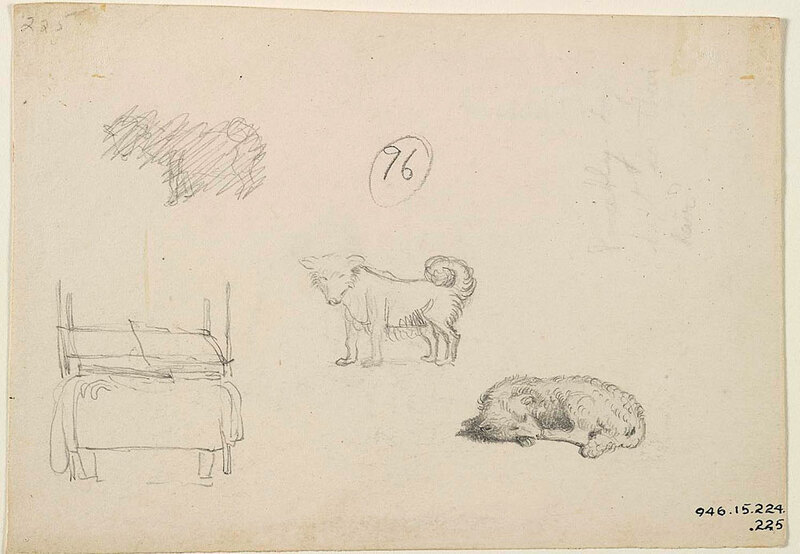 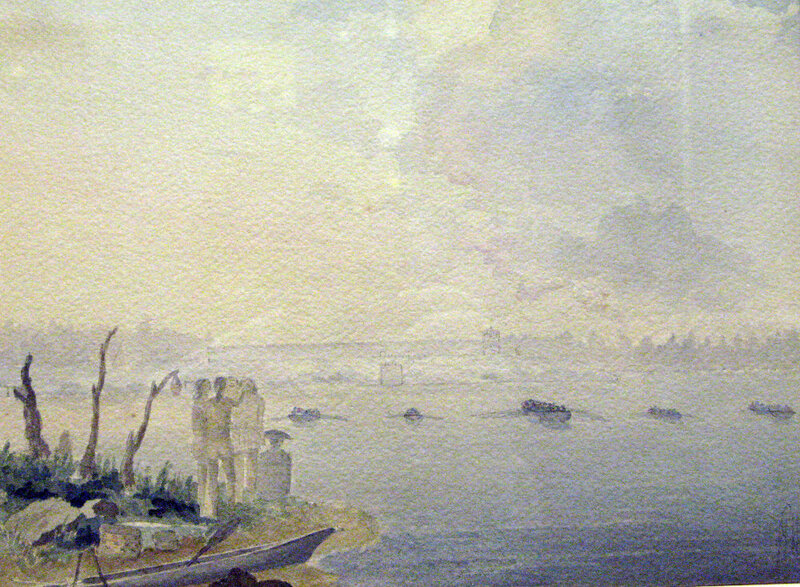 Later, in his Toronto studio he used these sketches as the basis for oil paintings. 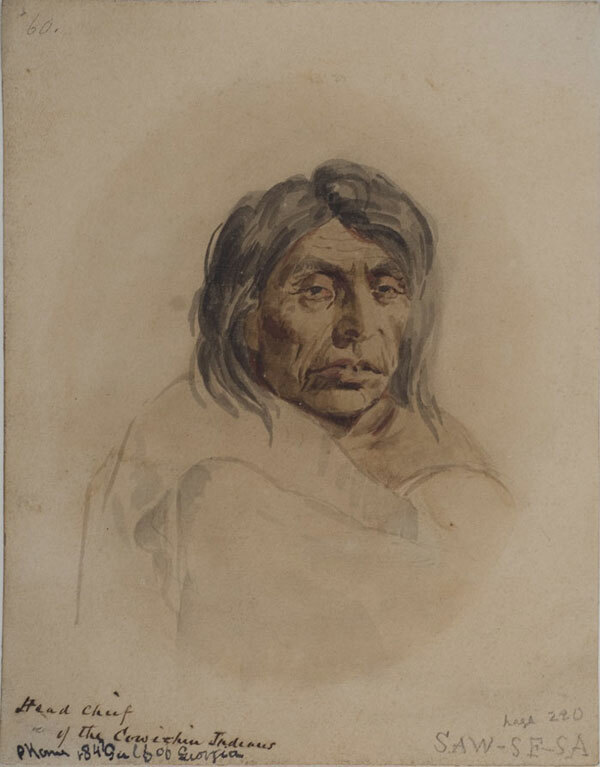 Most of his images made of Victoria and area are housed in the Royal Ontario Museum and the Stark Museum of Art in Orange, Texas and are presented here with their permission. 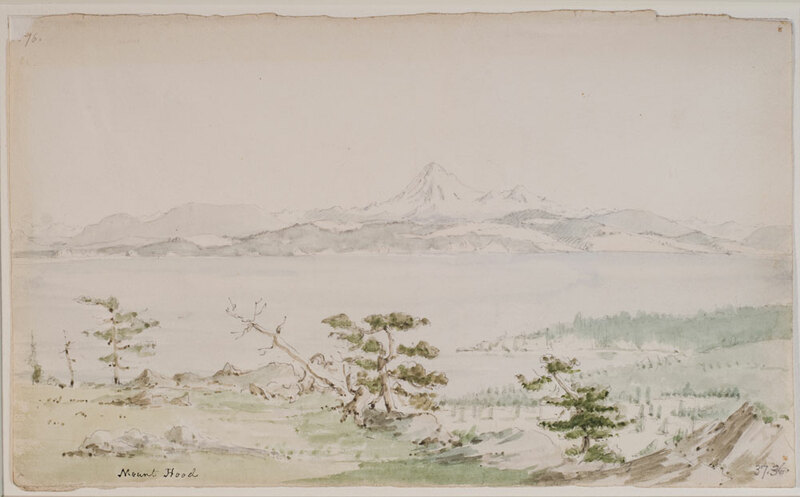 John Tunstall Haverfield was an artist and First Lieutenant of the Marines on board HMS Constance which called at Victoria, July-September, 1848. 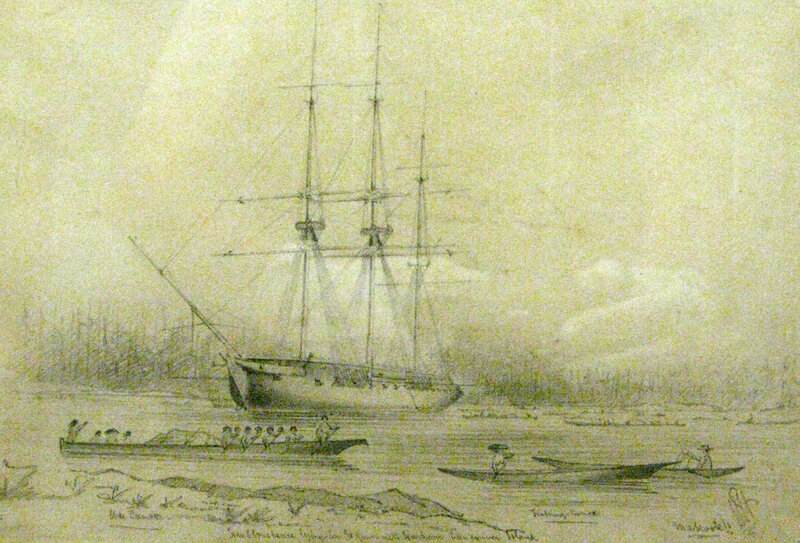 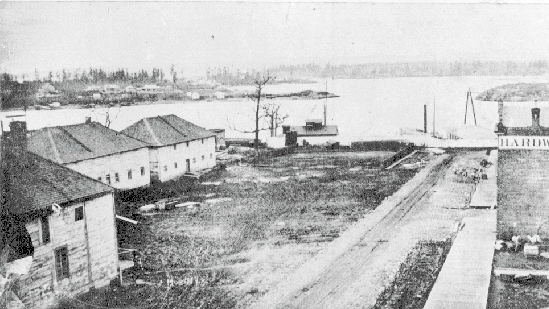 The visit of the ship is mentioned in the Fort Victoria Journal. 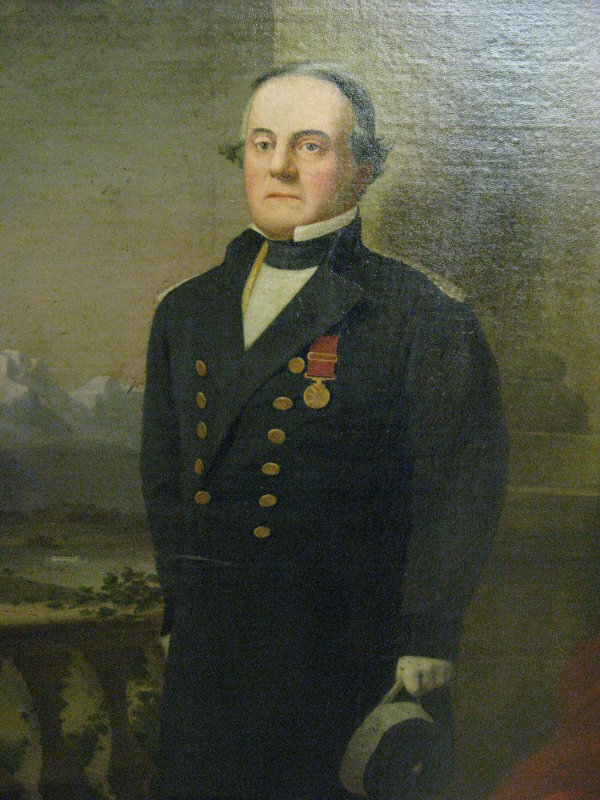 Haverfield retired with the rank of major in 1868 and died February 3rd, 1885. 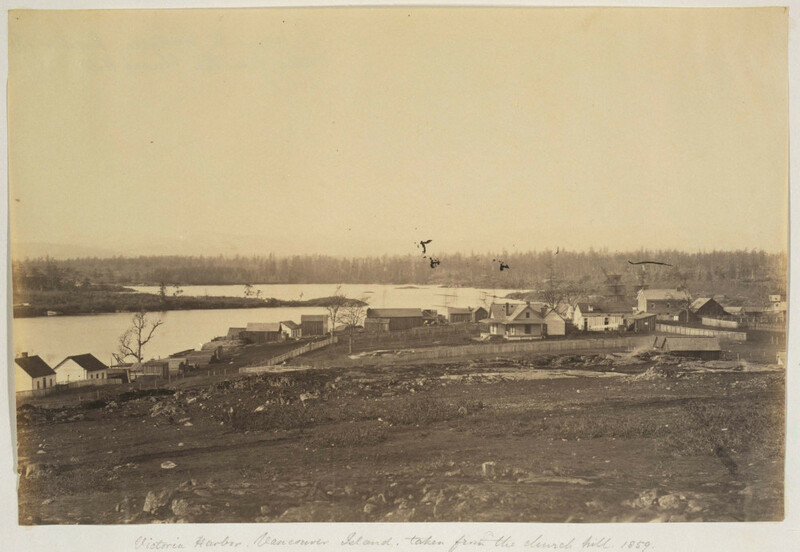 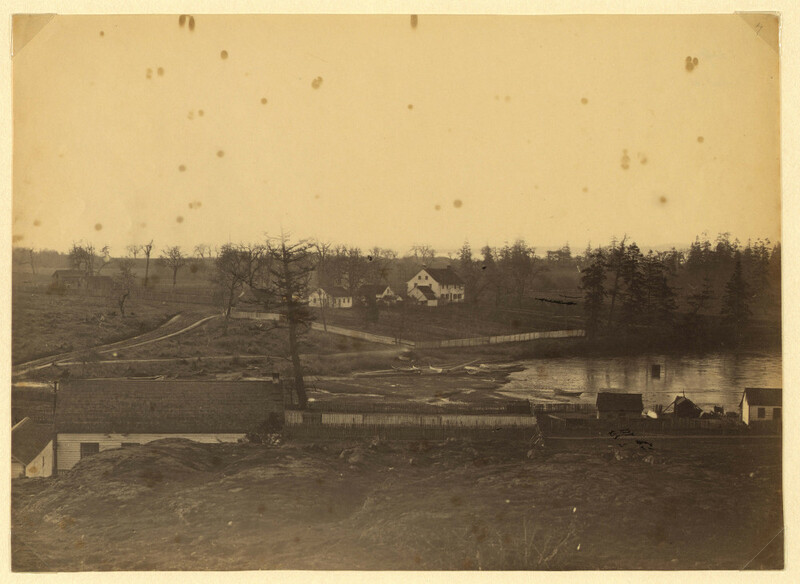 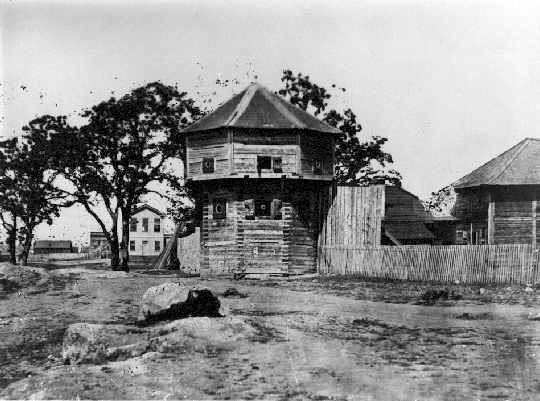 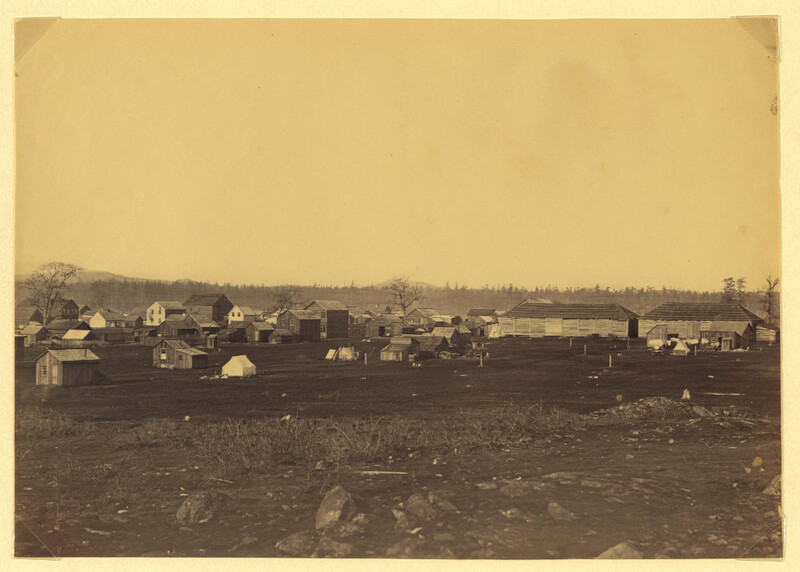 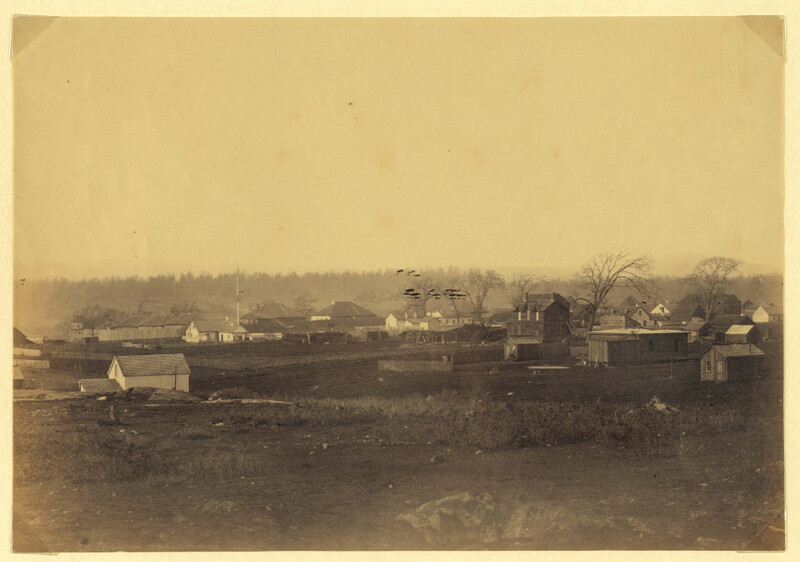 Alden, born in Boxborough, Massachussets in 1834, was a Lieutenant on the USCS Active which was tasked with surveying the Columbia River and area in 1854. 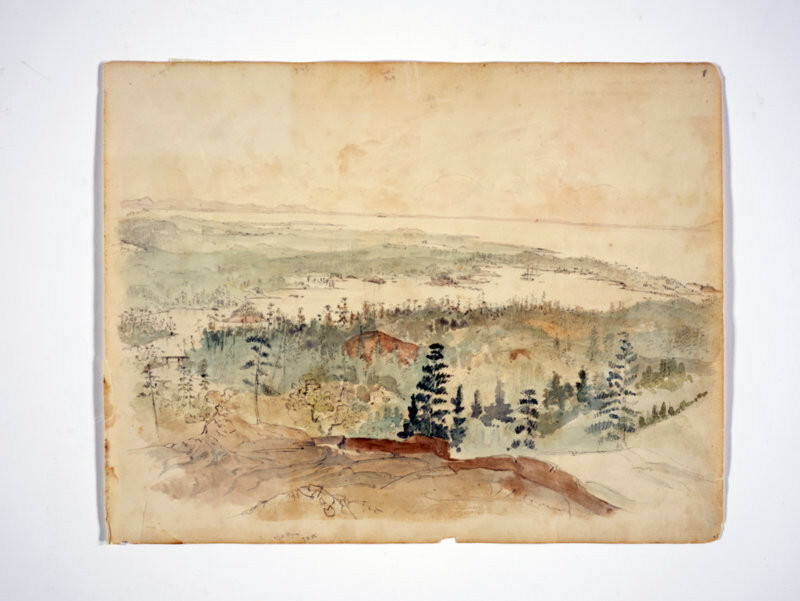 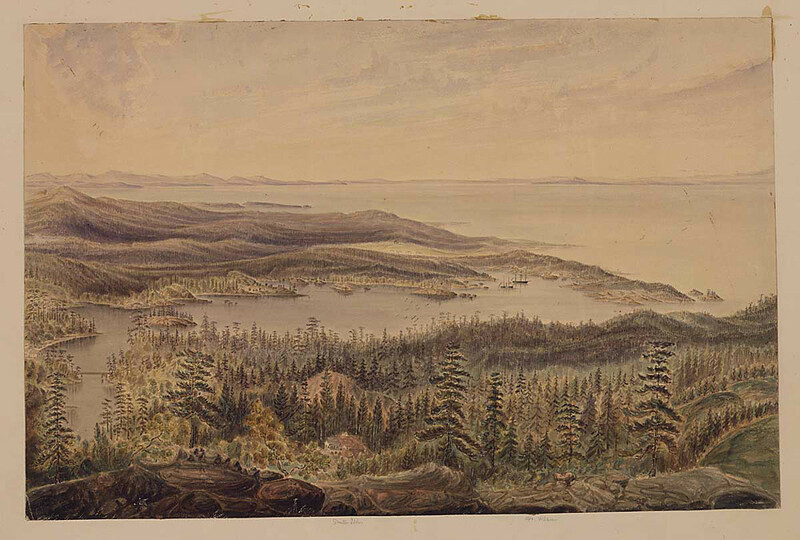 In June 1857 he was back in Victoria and between October 1857 and 1861, he was appointed Official Artist to the newly established Northwest Boundary Commission charged with surveying the 49th parallel. 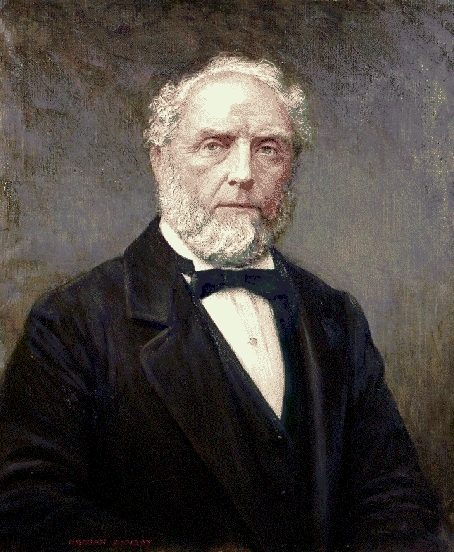 Alden died in 1922 at age of 88. 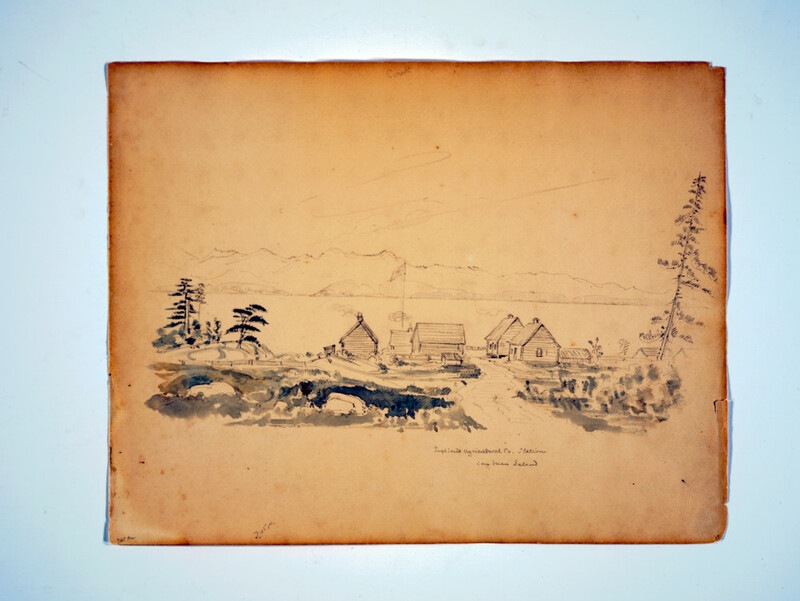 His sketch book is in the Washington State Historical Society Archives and contains most of his known images of this area. 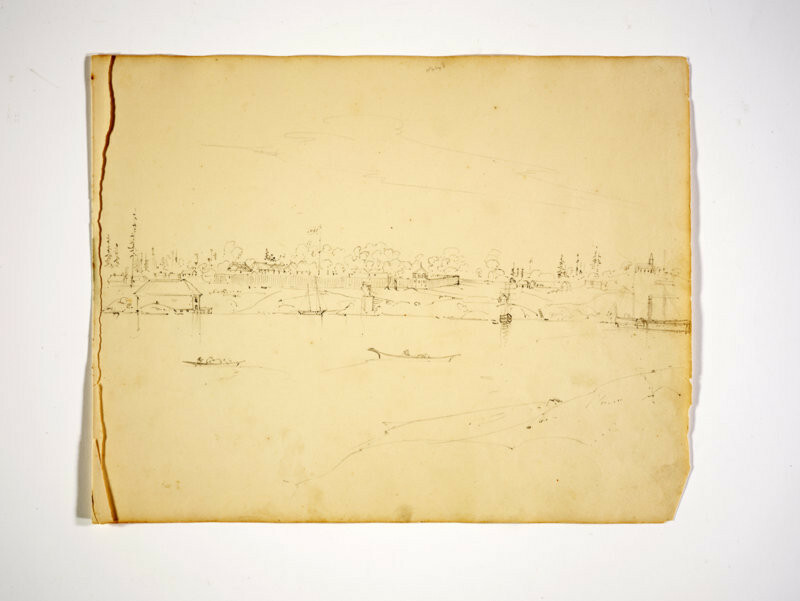 Map of the Victoria District Vancouver's Island 1850 W. Colqn. 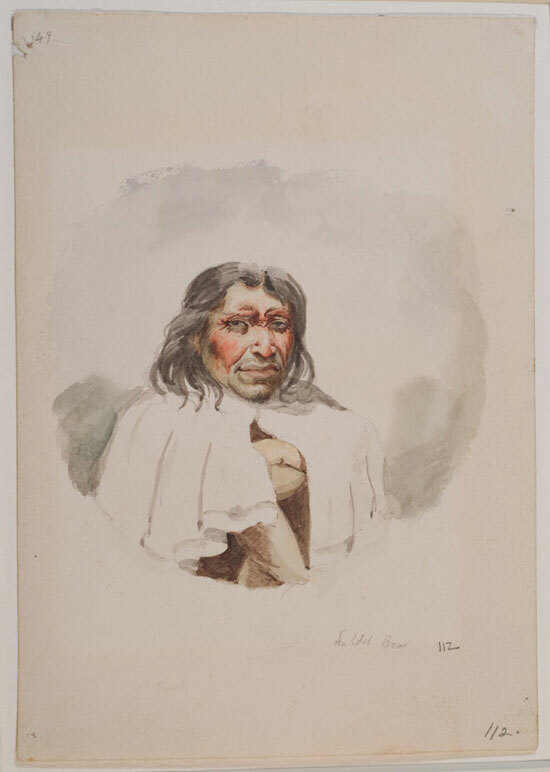 Gran. 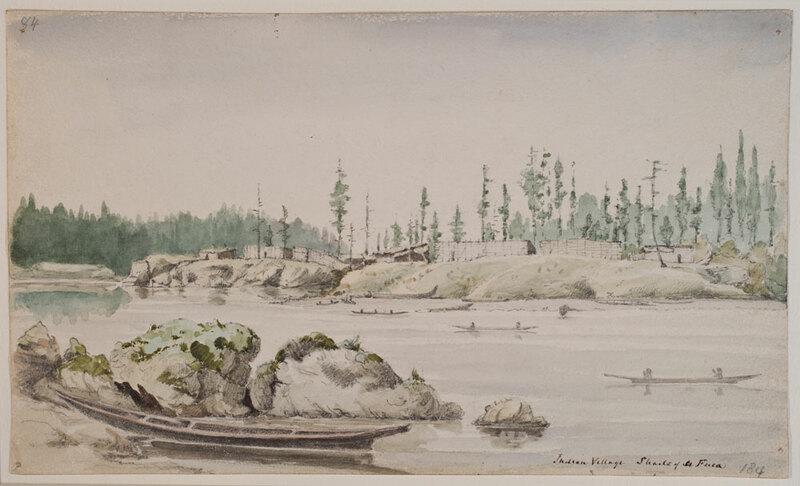 Hudson’s Bay Company Archives,G1/256 Scale 1 inch=600 feet. 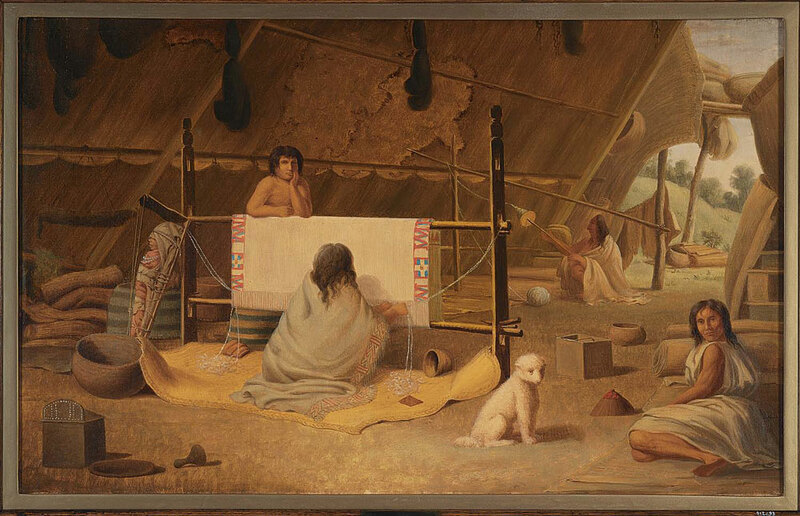 Size: 149x152cm. 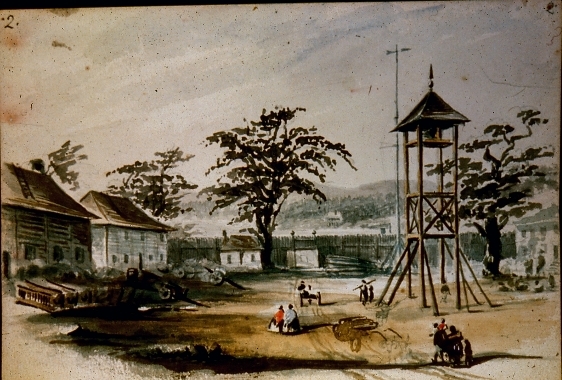 A Plan of the Town of Victoria Showing Proposed Improvements by J.D.Pemberton, 1852. 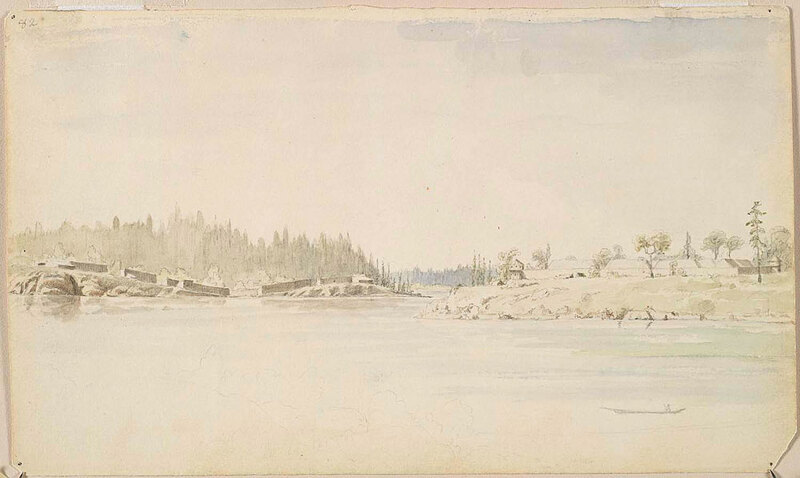 Hudson’s Bay Company Archives, G1/138. 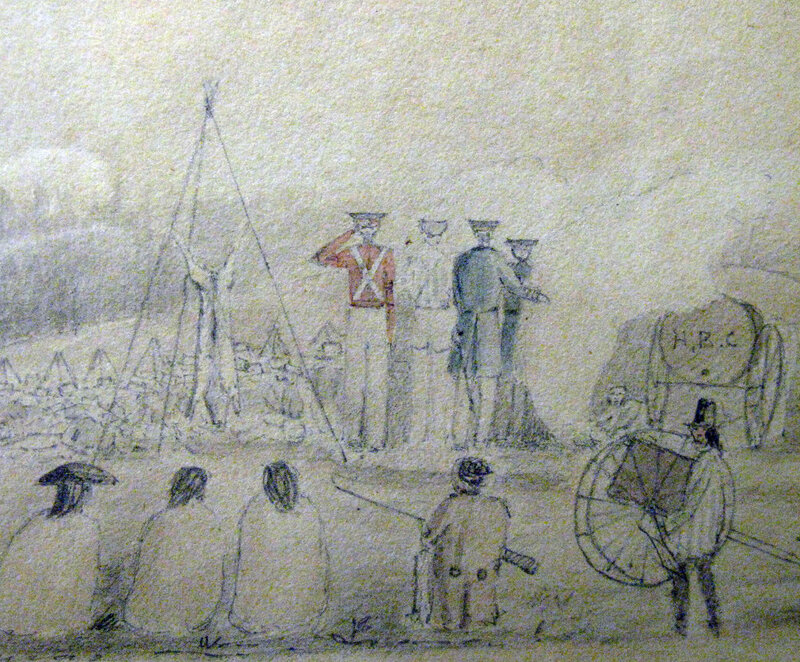 Scale 1 inch:132 feet. 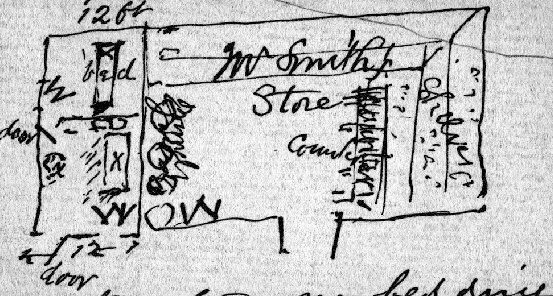 Size 90.4x156.5 cm. 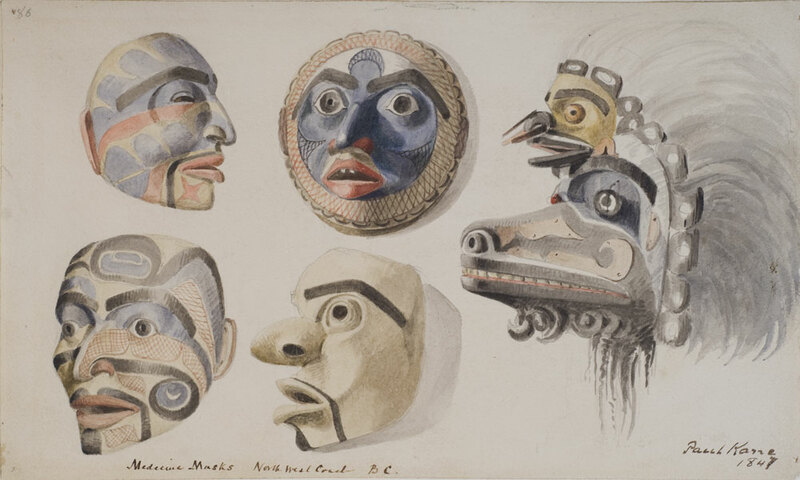 * Financial support to purchase the right to acquire and display these images was provided by Friends of the BC Archives; Old Cemeteries Society; Hallmark Heritage Society; L’Association historique francophone de Victoria; Victoria Heritage Foundation; Victoria Historical Society; and the Royal BC Museum.